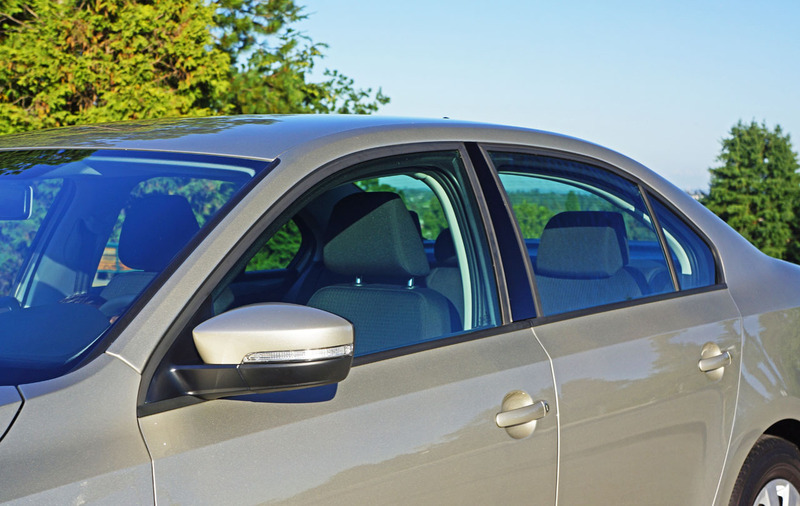 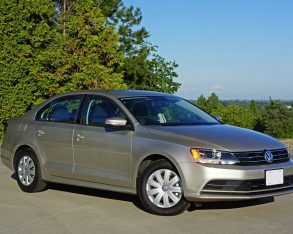 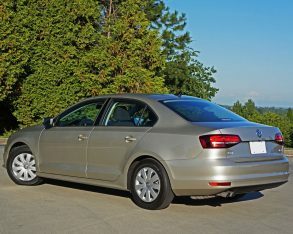 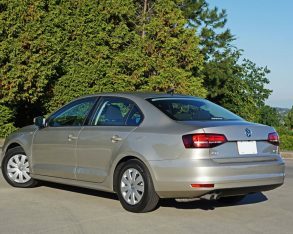 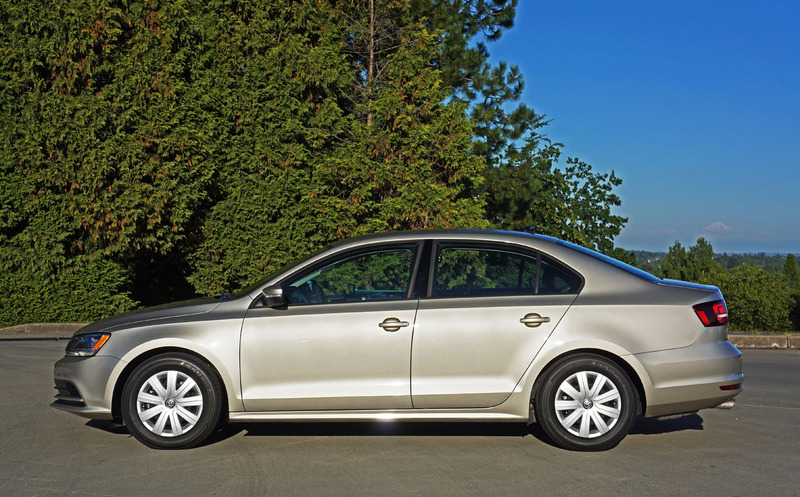 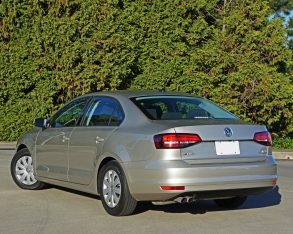 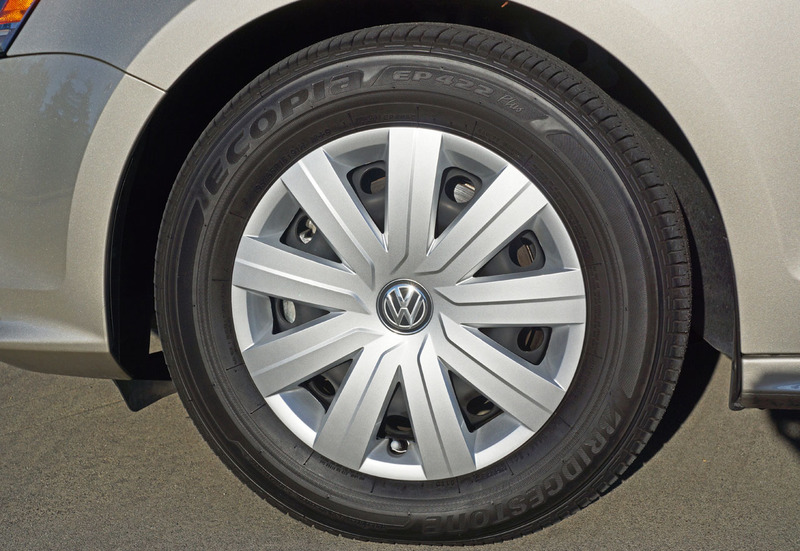 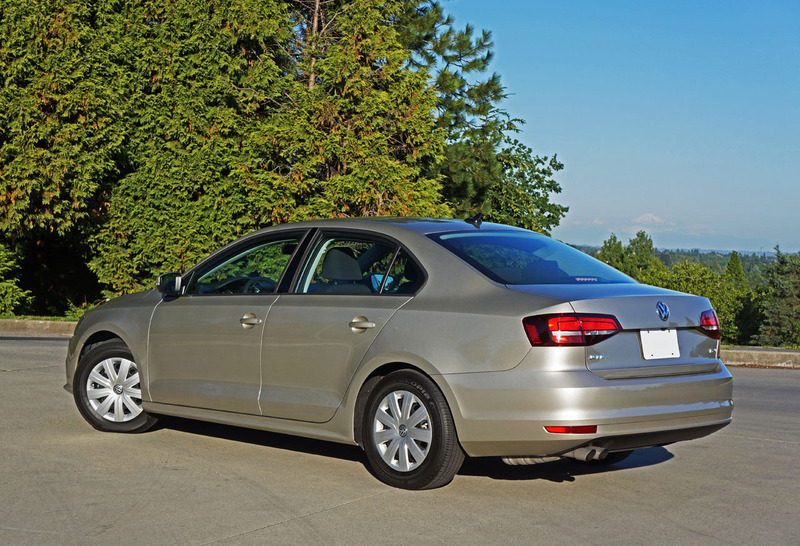 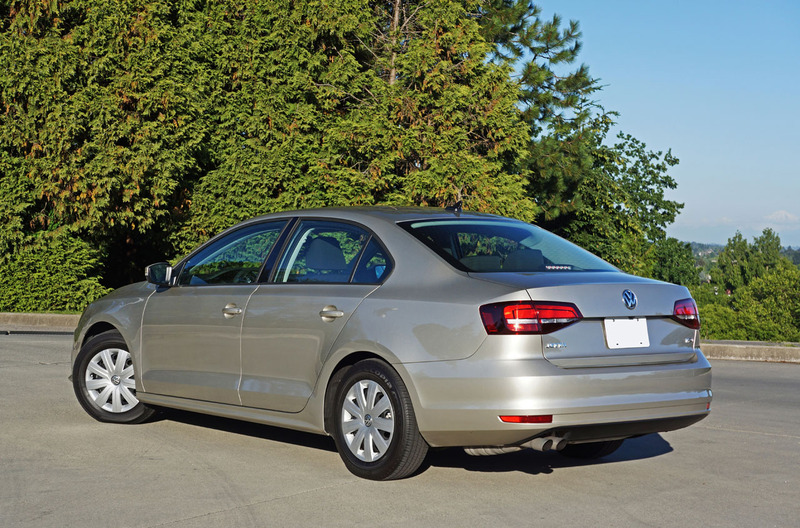 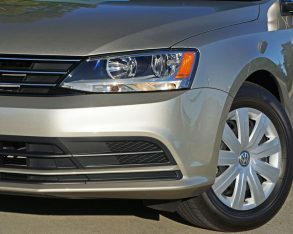 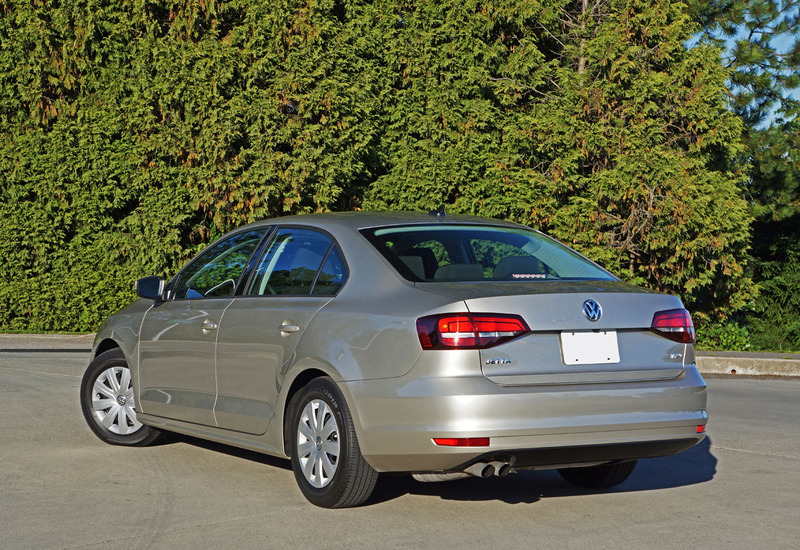 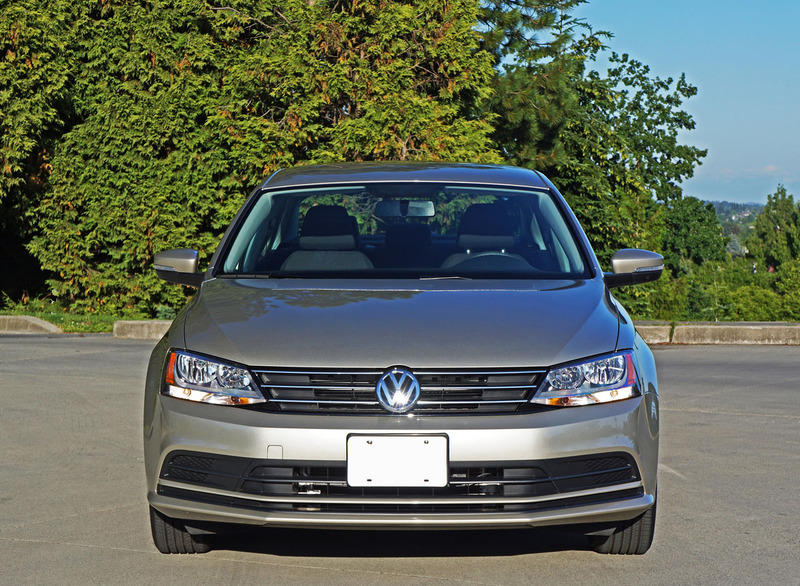 Things have changed dramatically in the compact class since Volkswagen launched the redesigned 2011 Jetta way back in 2010. 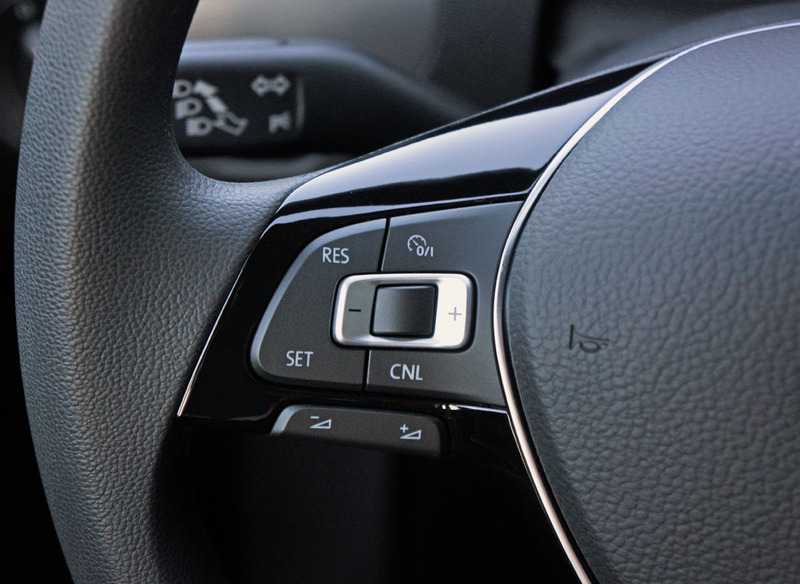 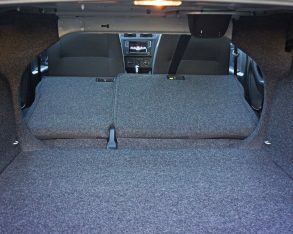 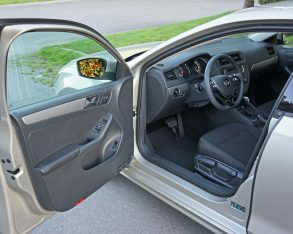 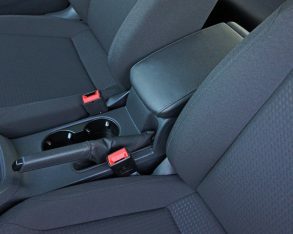 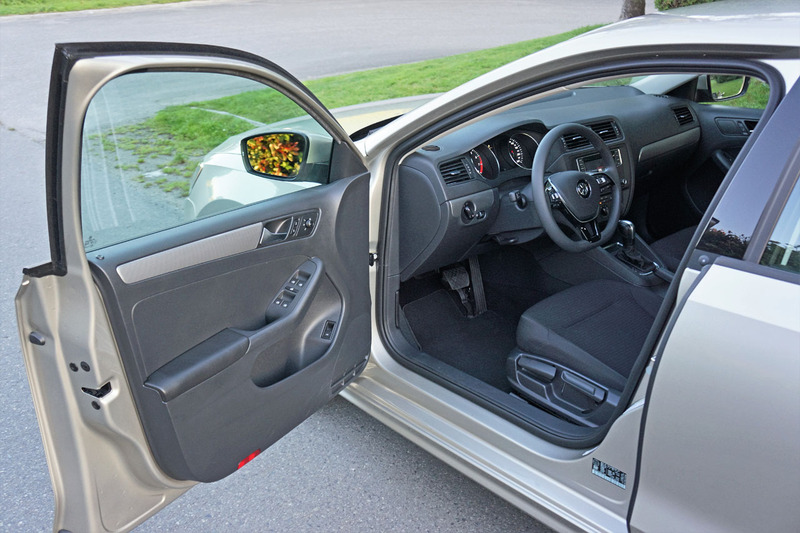 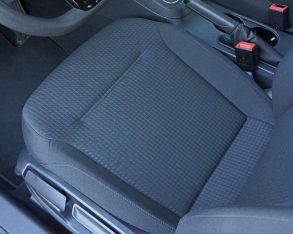 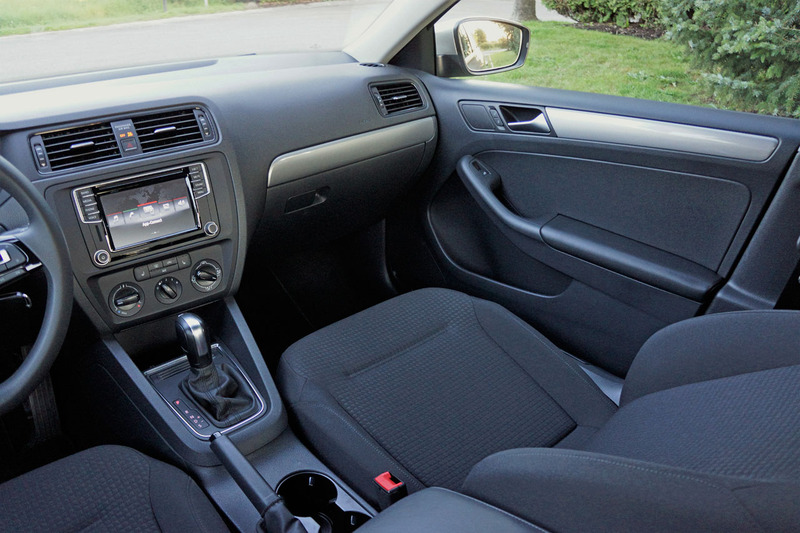 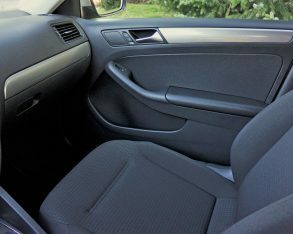 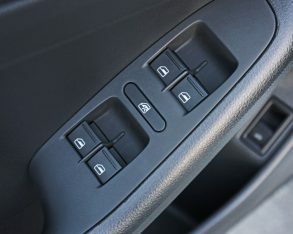 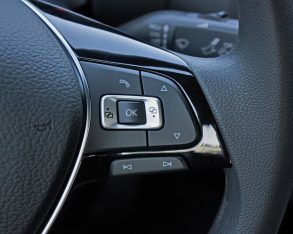 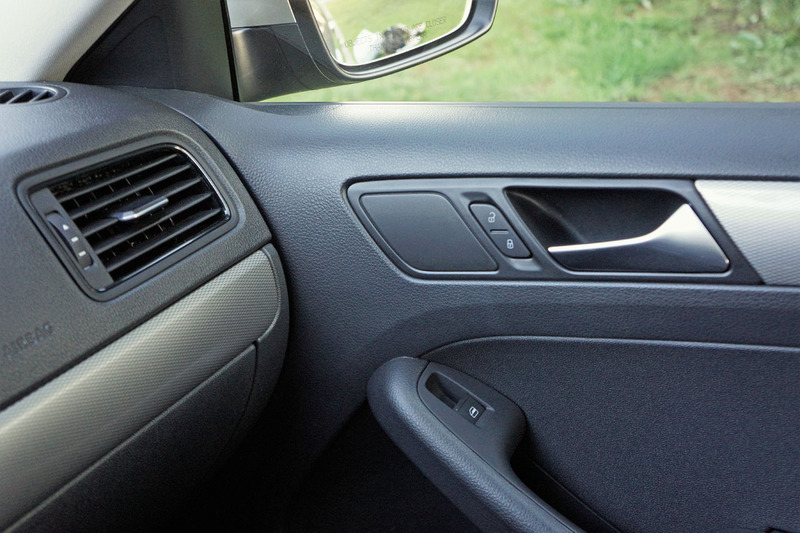 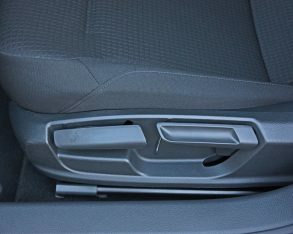 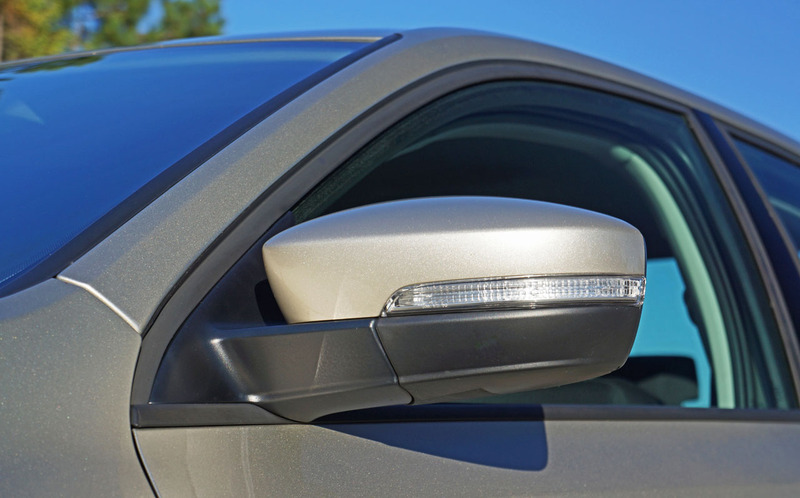 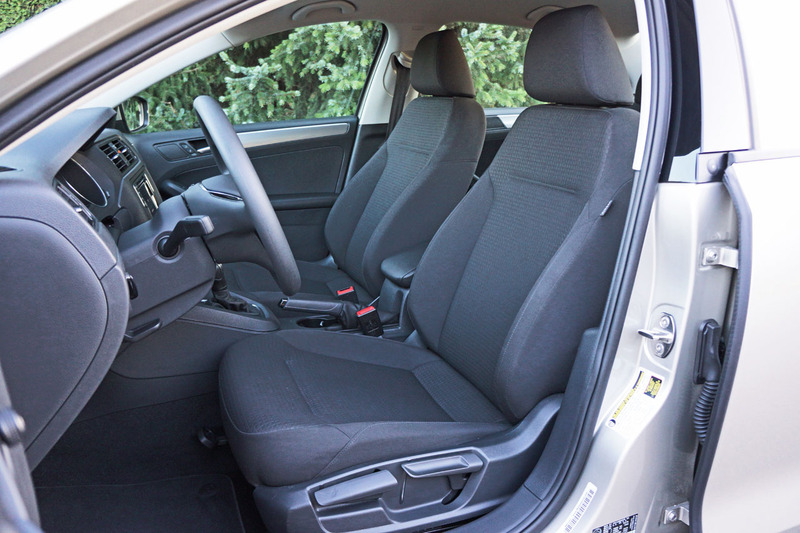 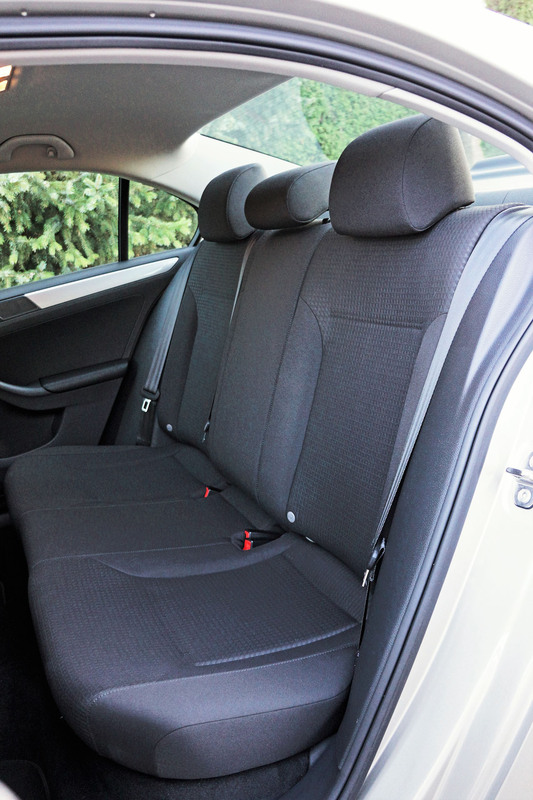 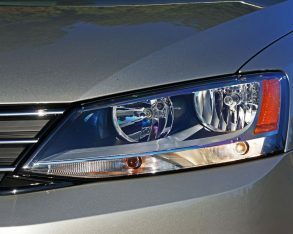 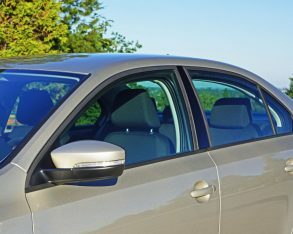 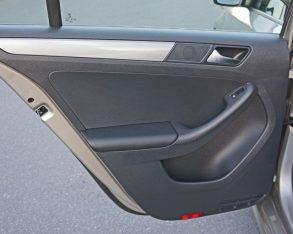 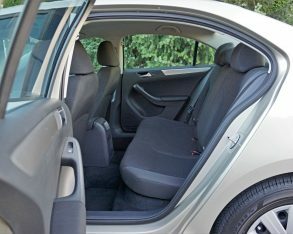 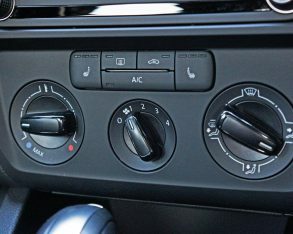 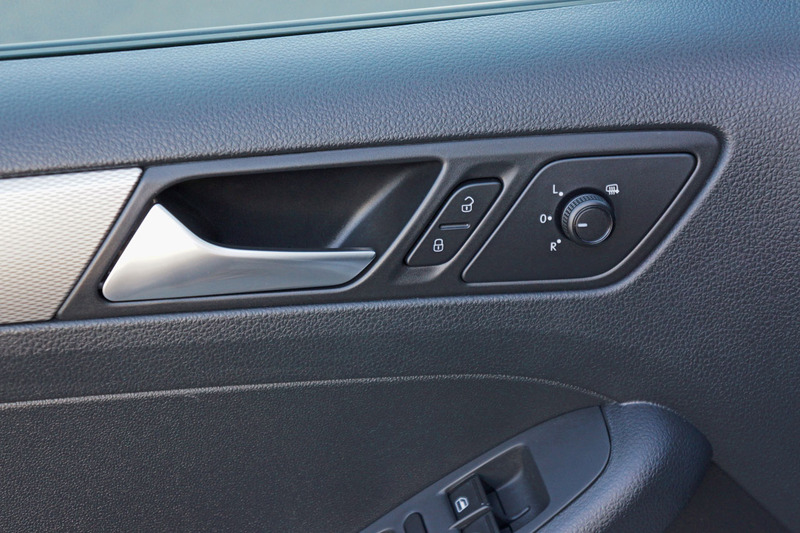 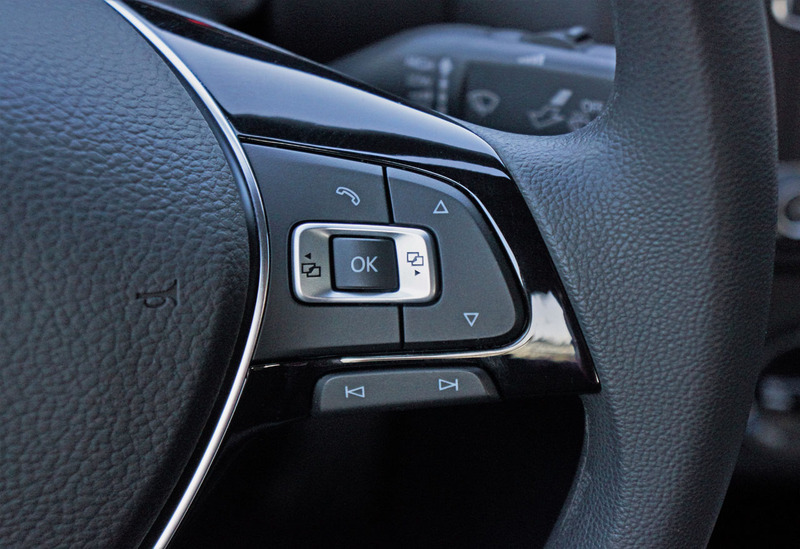 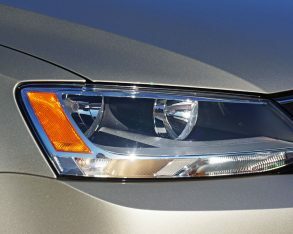 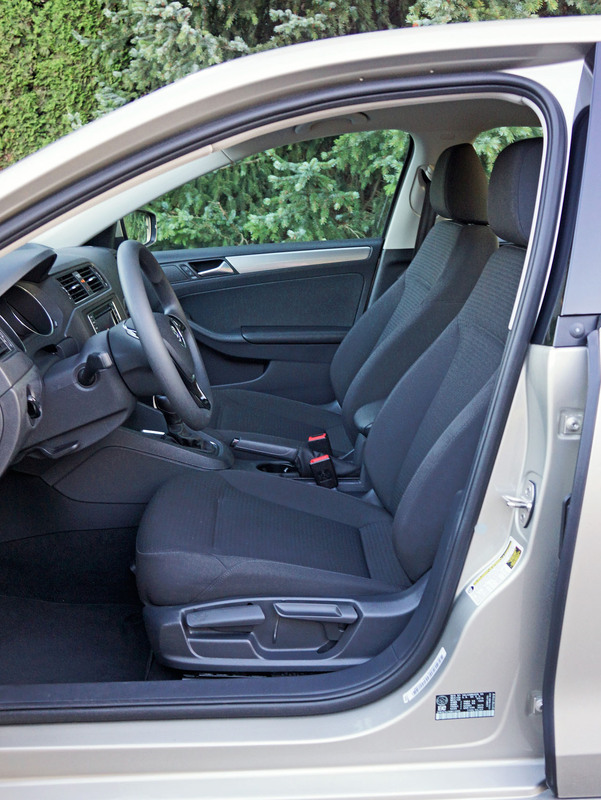 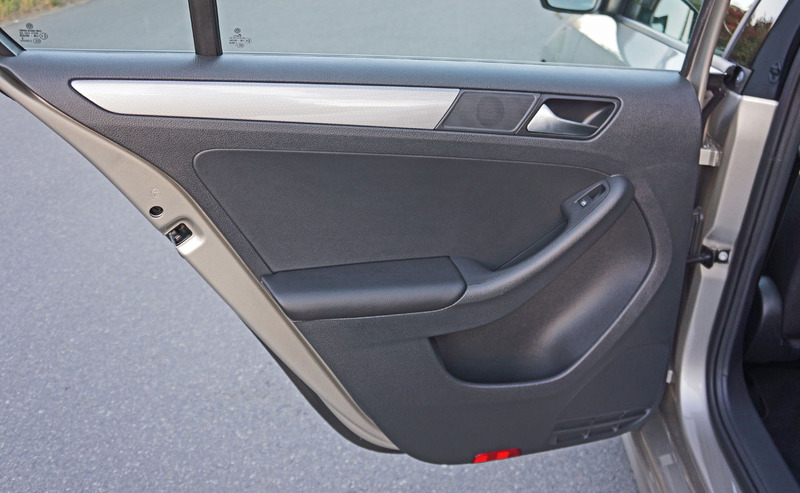 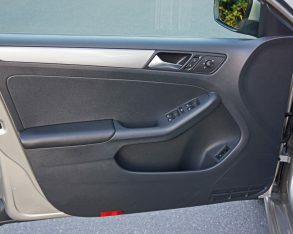 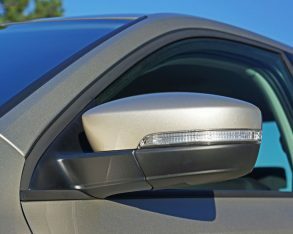 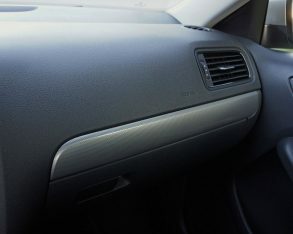 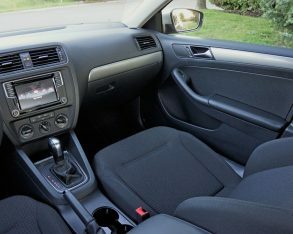 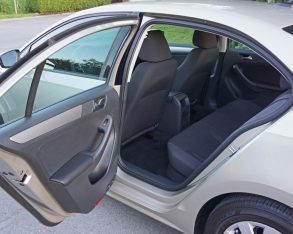 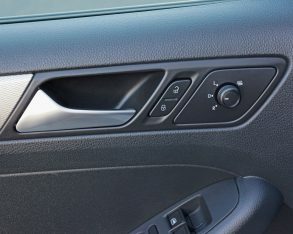 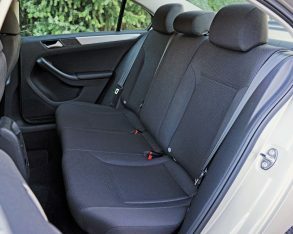 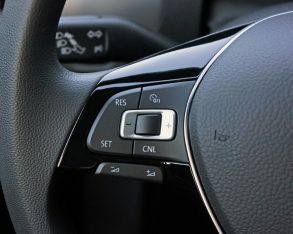 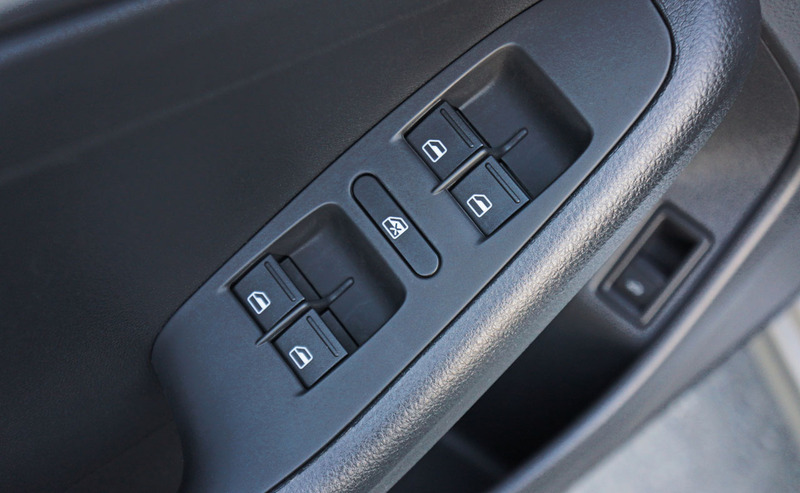 While once a frontrunner in style, cabin quality, performance and technology, that considerably less expensive car’s interior refinement and handling characteristics didn’t measure up to previous years, and despite rectifying some of these issues since its debut, others in the compact class have upped their game considerably. 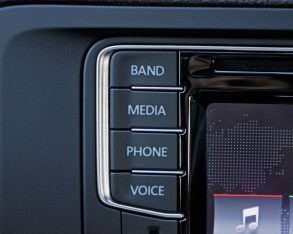 compact lineup, as well as the fact that this generation is reaching the end of its lifecycle. 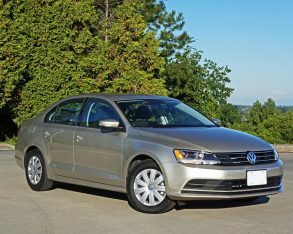 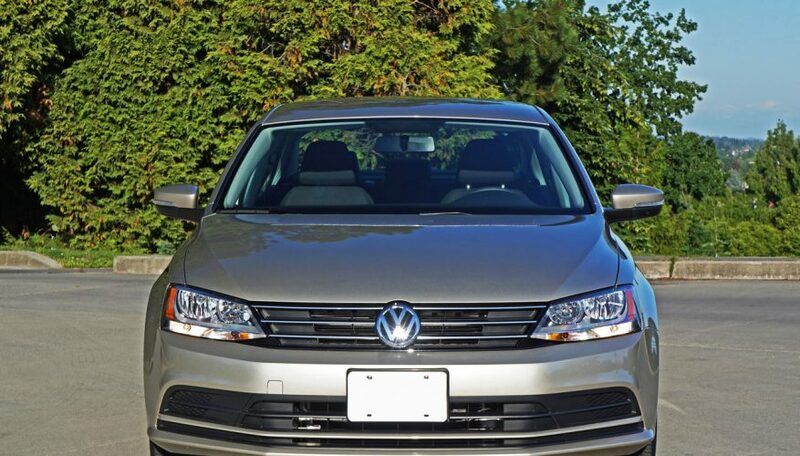 As of Q3 2016, VW Canada found just 17,108 buyers, which possibly means its yearly sales will slip backward yet again. 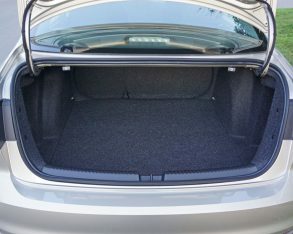 41,773, but putting it well ahead of Mazda’s 22,486 compacts, Chevrolet’s 21,720, Kia’s 19,682, Ford’s rather dismal 13,788, Nissan’s equally weak 13,231, Subaru’s 12,302, Mitsubishi’s anemic 5,230, and Dodge’s haplessly pathetic 1,113. 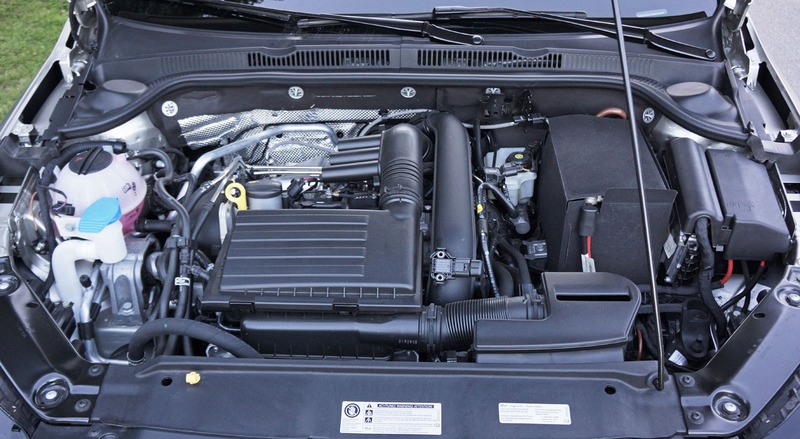 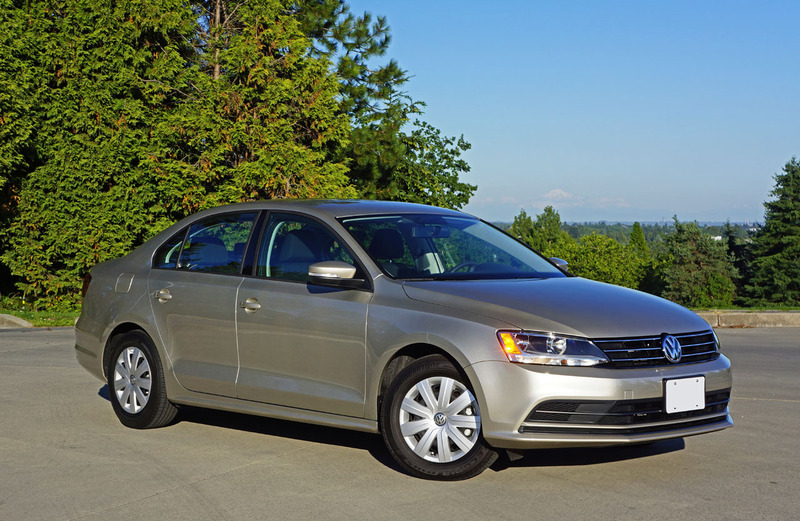 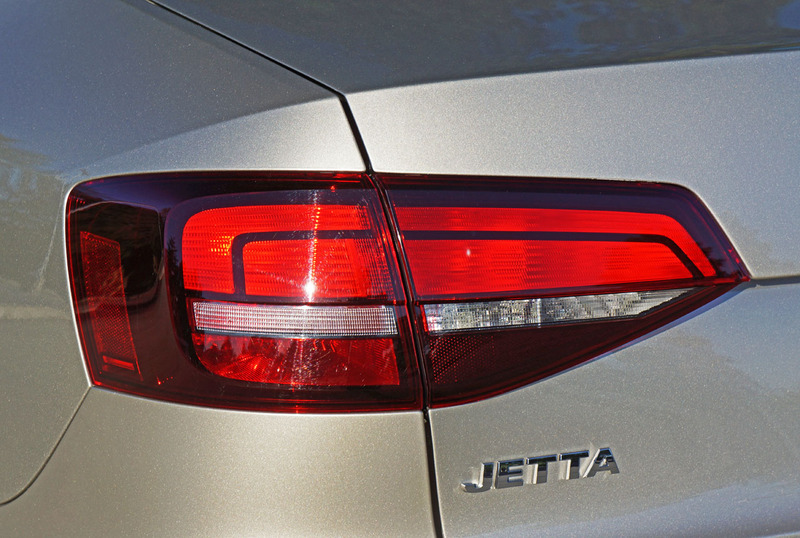 In other words, the new Jetta has helped return VW to its old powerhouse compact ways. 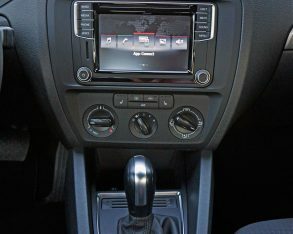 year’s thoroughly modernized infotainment system, which is truly one of the industry’s best, I continue to have mixed emotions when climbing inside. 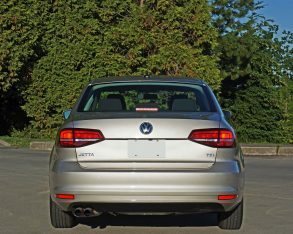 When the previous generation was on its last legs it might have looked dated, as this one does now, but at least its materials quality and refinement rivaled premium brands, but now the Jetta just seems old and, dare I say, cheap. 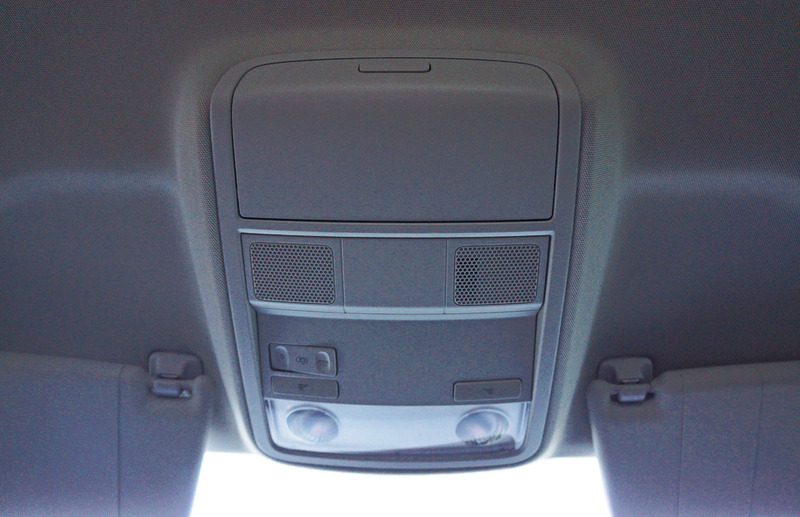 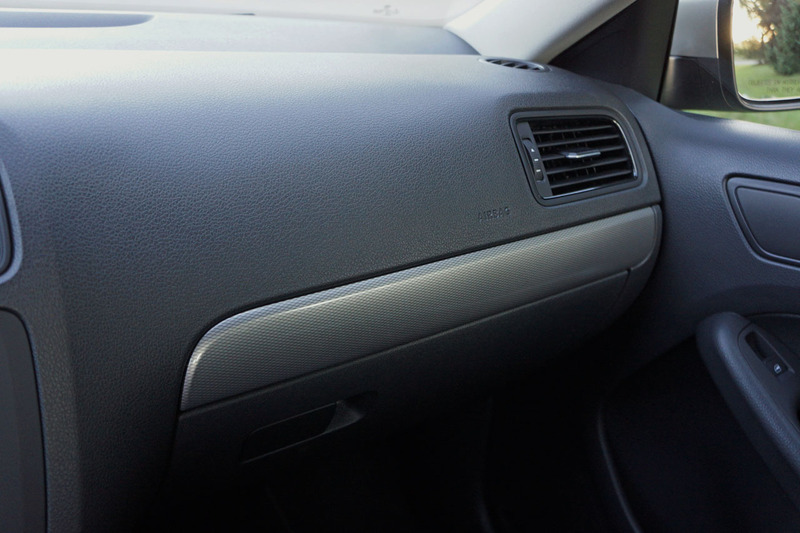 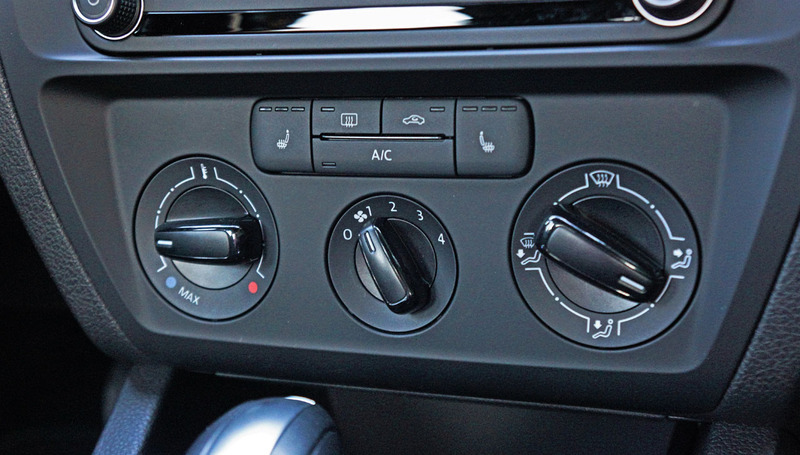 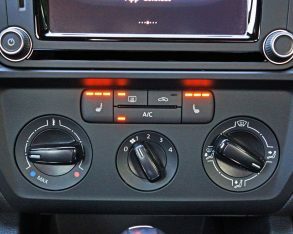 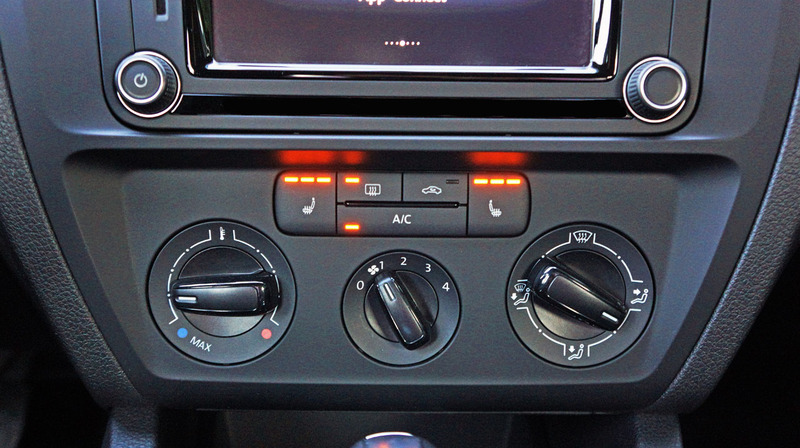 and touch-sensitive HVAC controls. 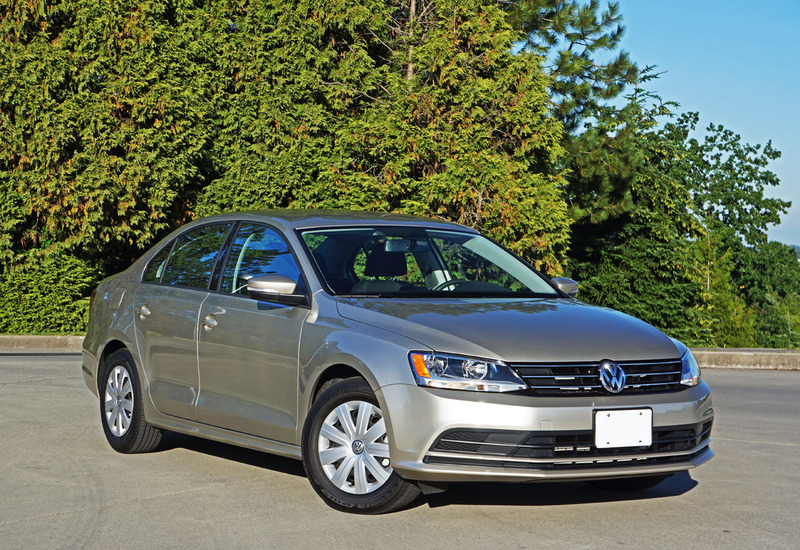 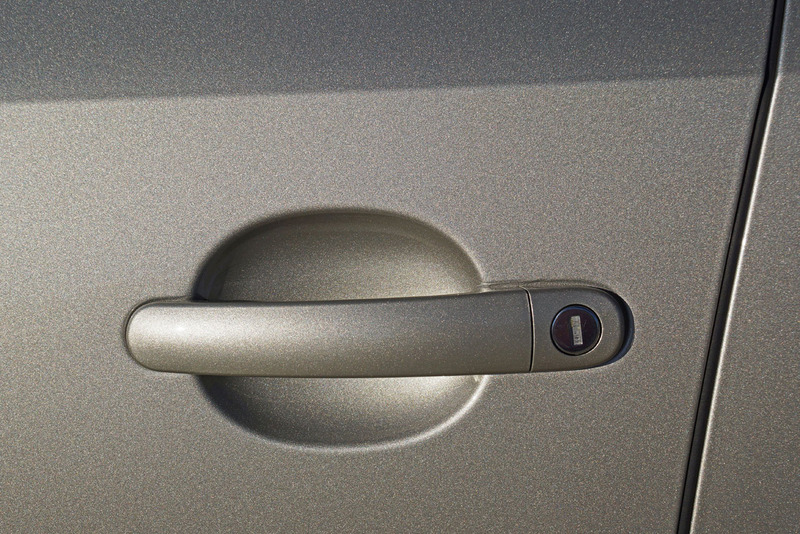 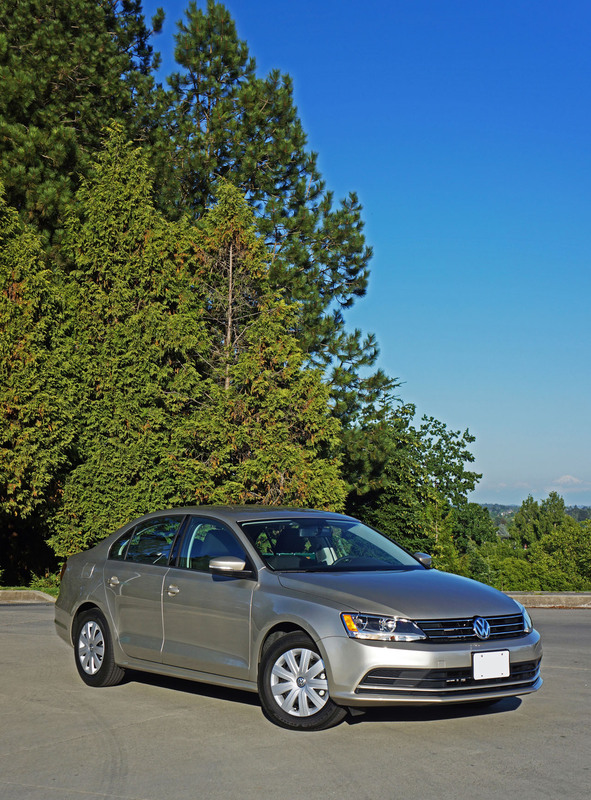 If you’re driving a Jetta you’ll feel like Fred Flintstone meeting George Jetson. 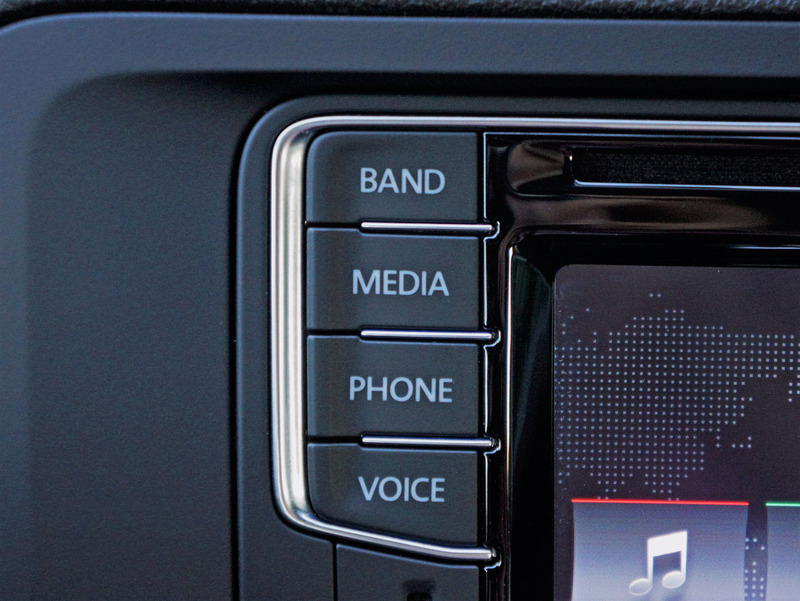 also included an optional USB port (seriously, it’s optional), while nice upgraded glossy inlays stretch across the dash and down each door panel. 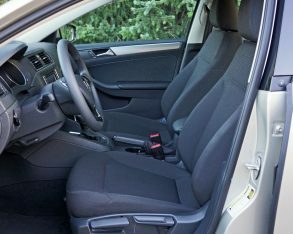 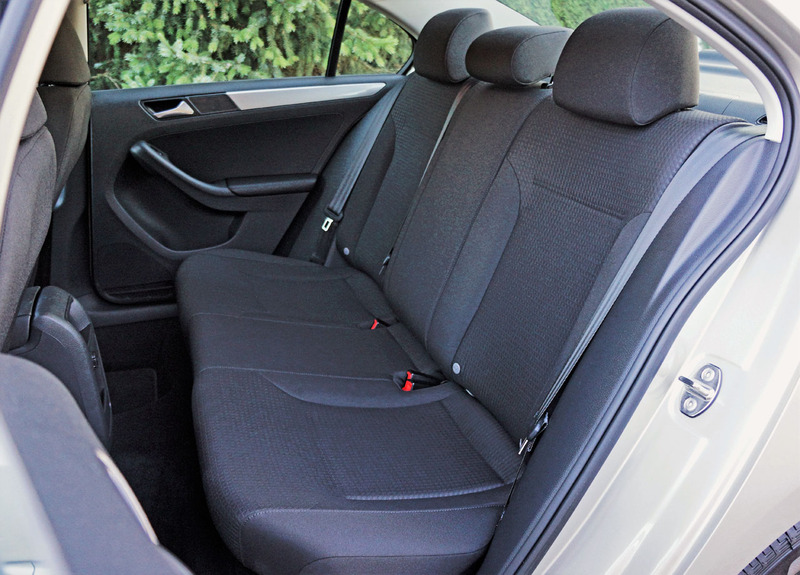 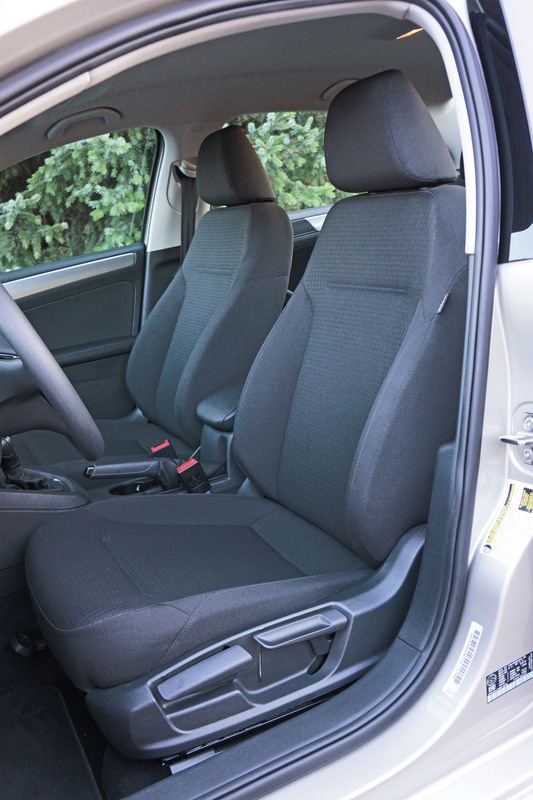 Just the same, I can’t remember the last time I got into a compact car and found zero soft touch surfaces, accepting the padded cloth armrests and seats. 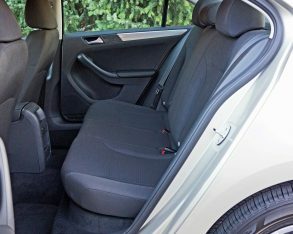 This is the least luxurious car in its class by a long shot, which makes its fabric-wrapped A-pillars seem strangely out of place. 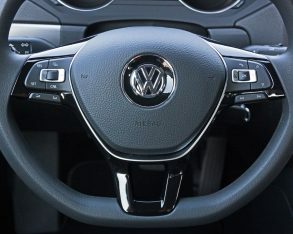 I don’t have a problem with polyurethane steering wheels on lower trims and this one is particularly good, with a sporty flat-bottomed shape, nicely carved thumb spats, beautifully thin spokes finished in piano black lacquer, and excellent switchgear. 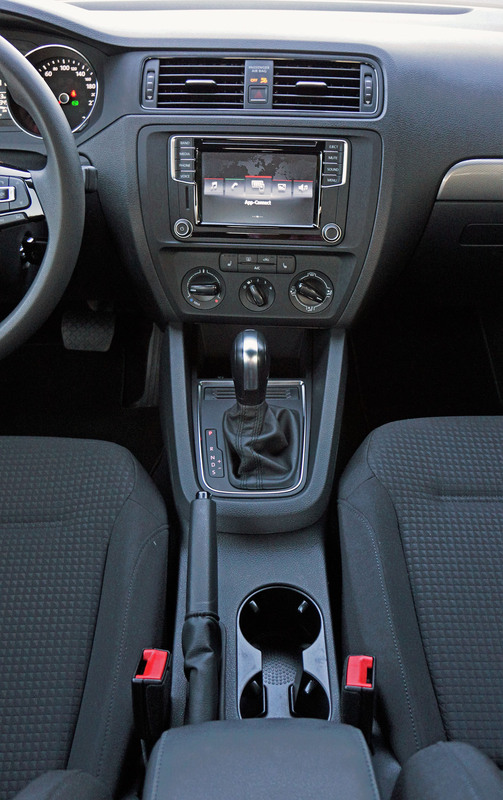 The shifter looks terrific too, with some metallic trim across the top and a stitched leather boot below, but the black matte plastic used on each side of the knob is hard and hollow, which is once again unusually bad for this class. 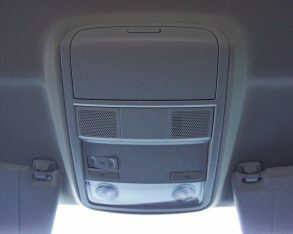 At least the overhead console is nice, incorporating the usual lighting elements as well as a large rubberized sunglasses holder. 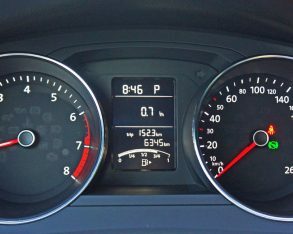 primary gauges are neatly rimmed in bright metallic and centered by a retrograde monochromatic LCD readout incorporating the usual odometers, fuel gauge, average economy, clock and gear selection info, while the HVAC interface is notably basic yet still an upgrade over the base model’s even more pedestrian version despite its simple three-dial manual design incorporating buttons for the three-way front seat warmers, the latter always appreciated during the depths of winter. 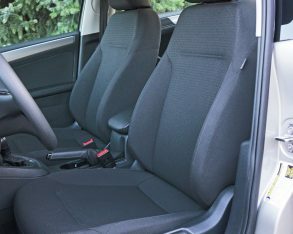 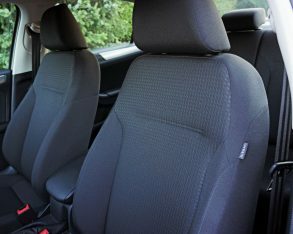 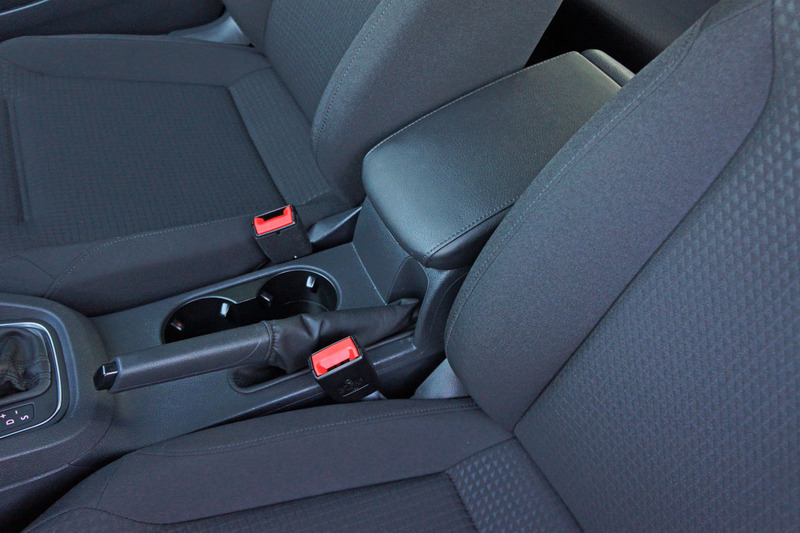 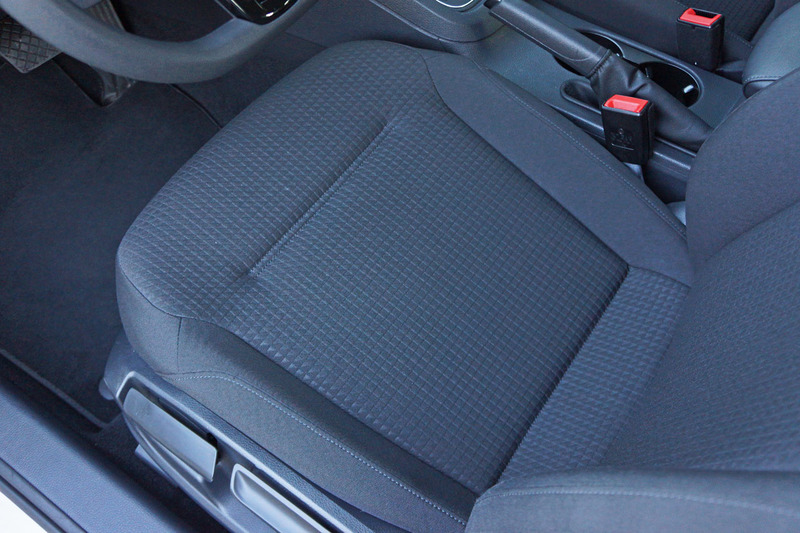 They heat up quickly and are quite hot in their topmost setting, turning the ergonomically formed front seats into therapy chairs for remedying aching lower backs. 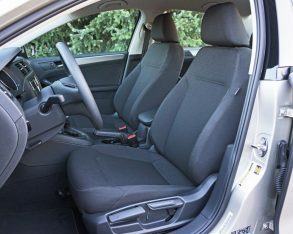 driver’s seat really is comfortable while providing excellent lateral support for a base model, the latter needed for a car that still performs better than most in this class. 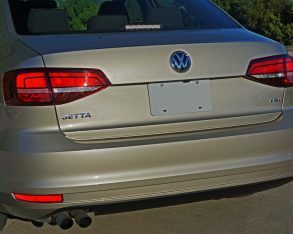 Yes, while I won’t go so far to say the base Jetta Trendline delivers class-leading handling, it feels traditionally Germanic in the way it stays confidently planted in its lane when speed starts to rise, whether cruising down the freeway or tackling a circuitous two-lane back road where its suspension responds well when pushed hard through bumpy corners. 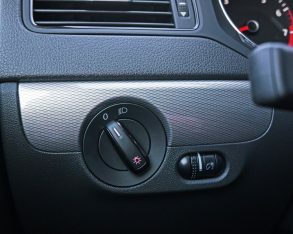 Likewise, the brakes remained mostly fade-free after repeated hard application, and stopped quickly and controllably in panic situations, a good thing considering the spirited little four-cylinder under the hood. 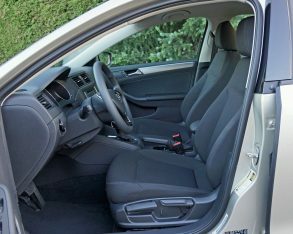 and even more soul-stirring 184 lb-ft of torque from a mere 1,400 rpm, which means it really gets up and goes when right foot hits floorboard. 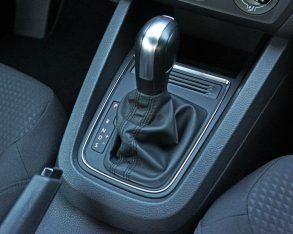 Likewise the Jetta 1.4 TSI’s optional six-speed automatic is a fairly quick shifting alternative to the standard five-speed manual, a simple right push on the lever allowing Tiptronic manual mode or a pull rearward eliciting Sport mode for all the excitement with less work. 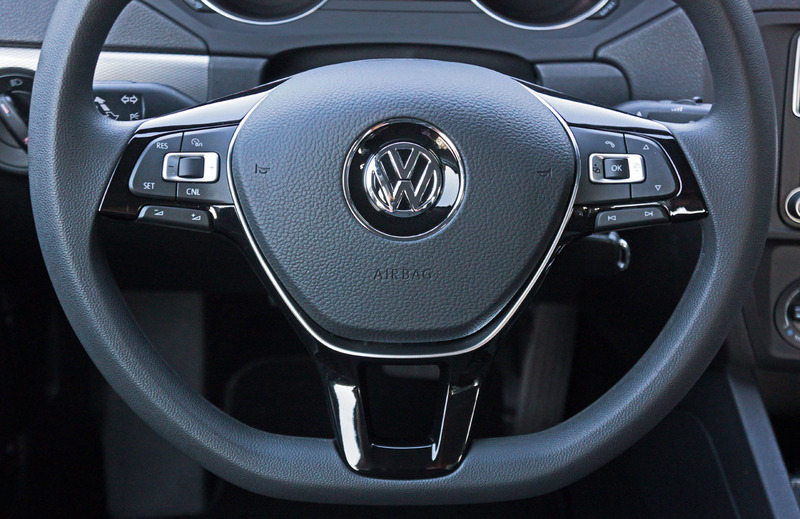 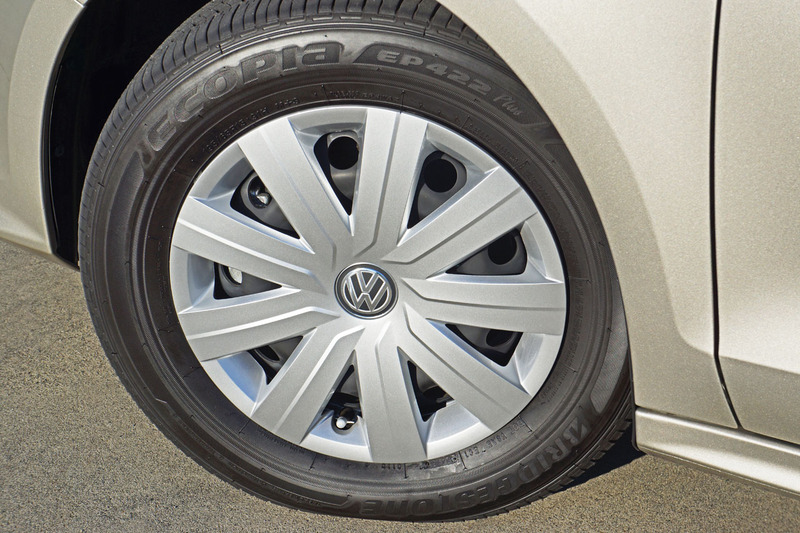 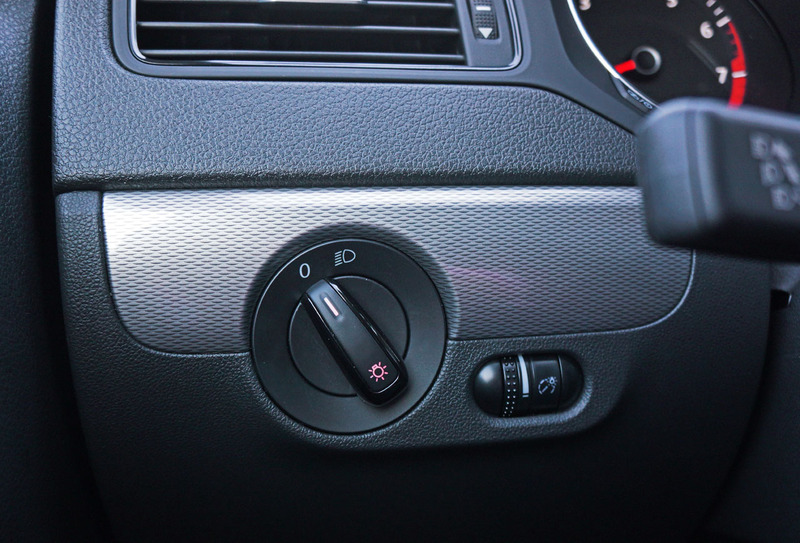 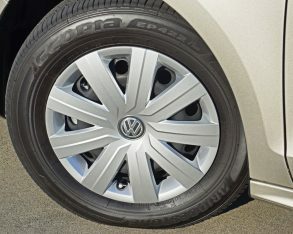 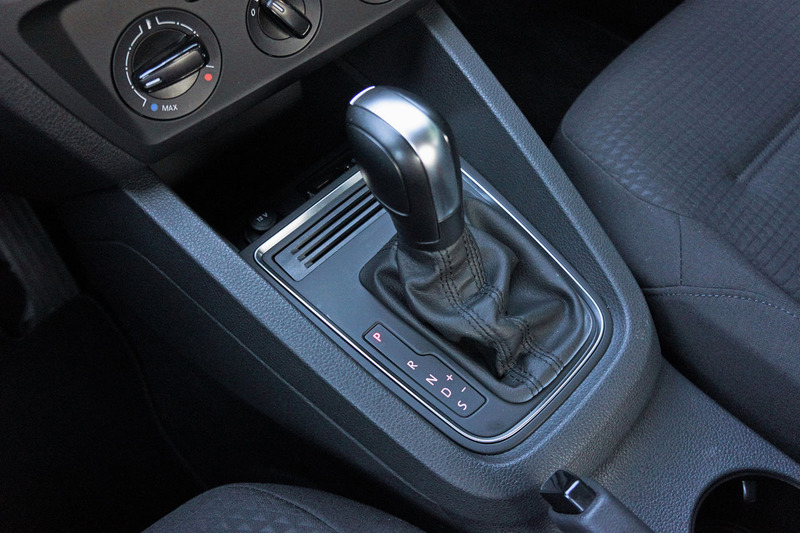 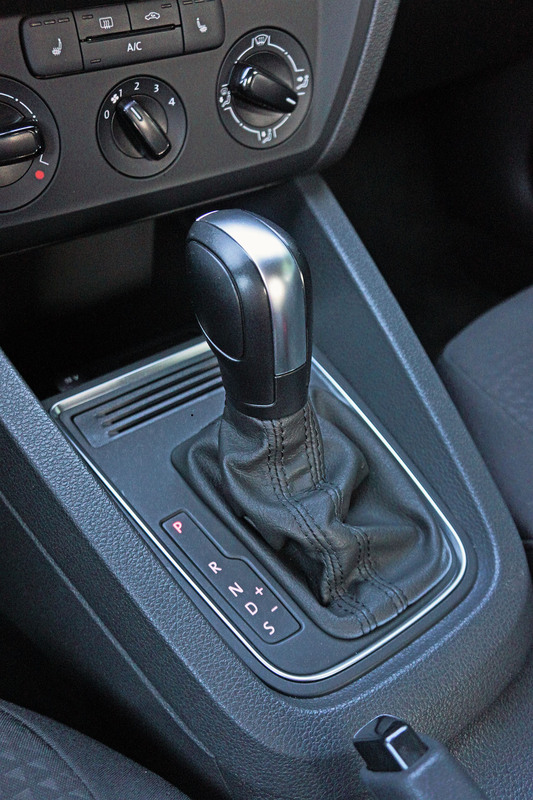 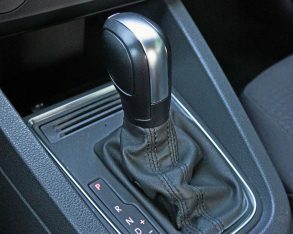 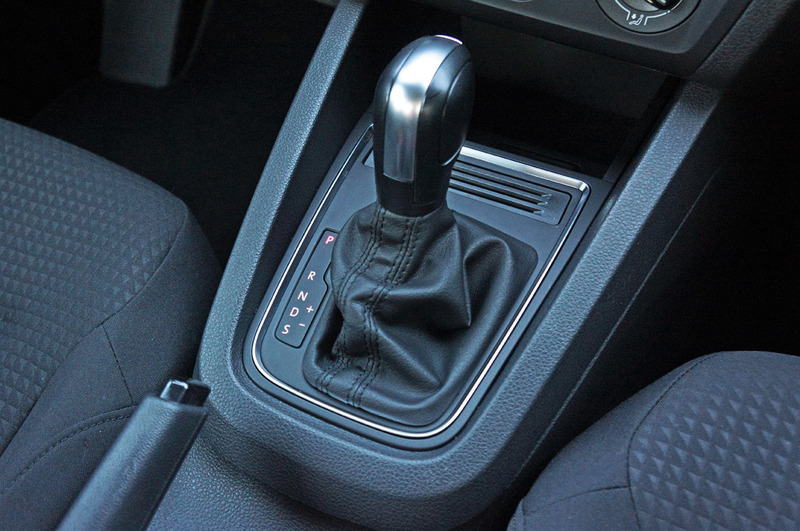 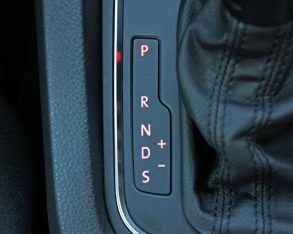 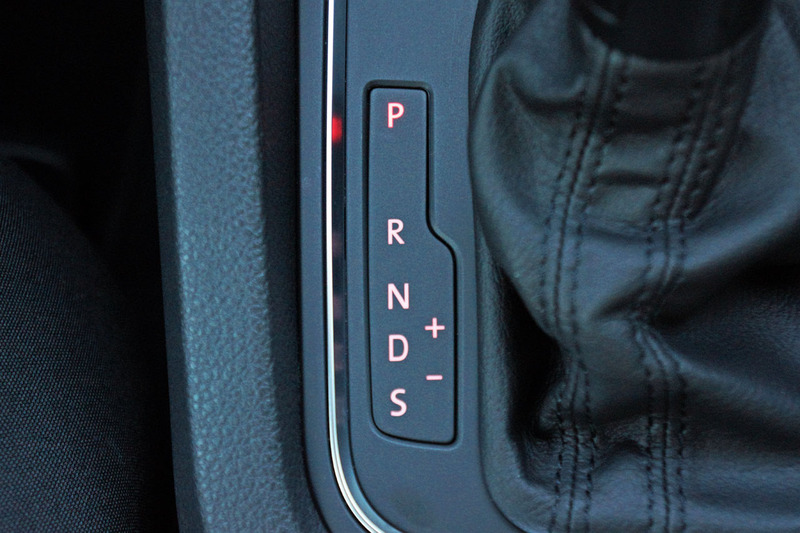 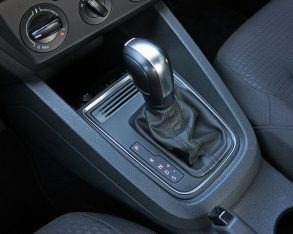 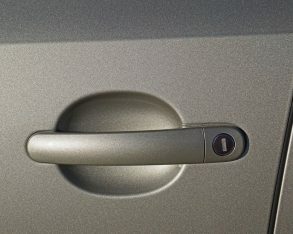 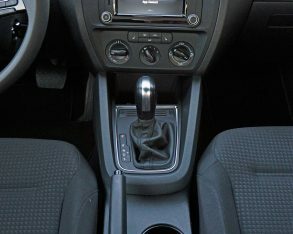 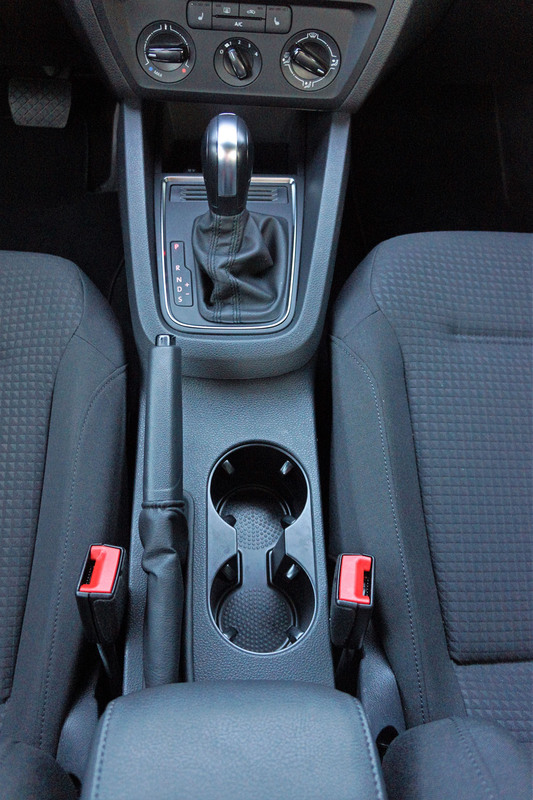 VW still includes a classic handbrake, which is helpful while taking off from steep inclines when combined with the manual gearbox, and certainly no more of a chore to employ than the newer electromechanical variety. 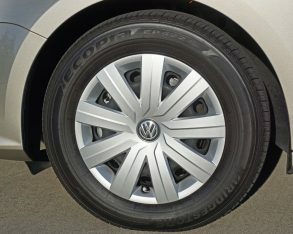 195/65R15 Bridgestone rubber underneath. 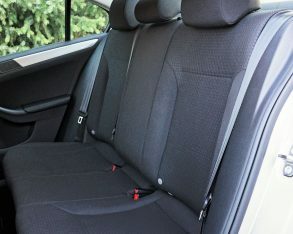 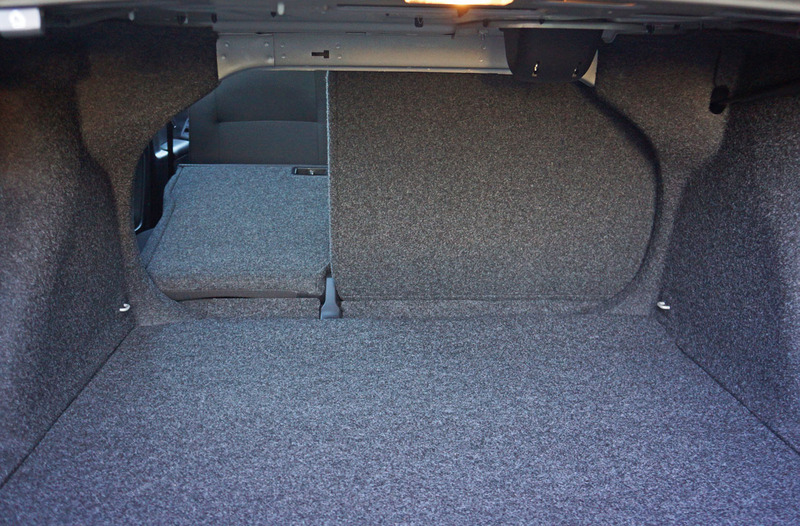 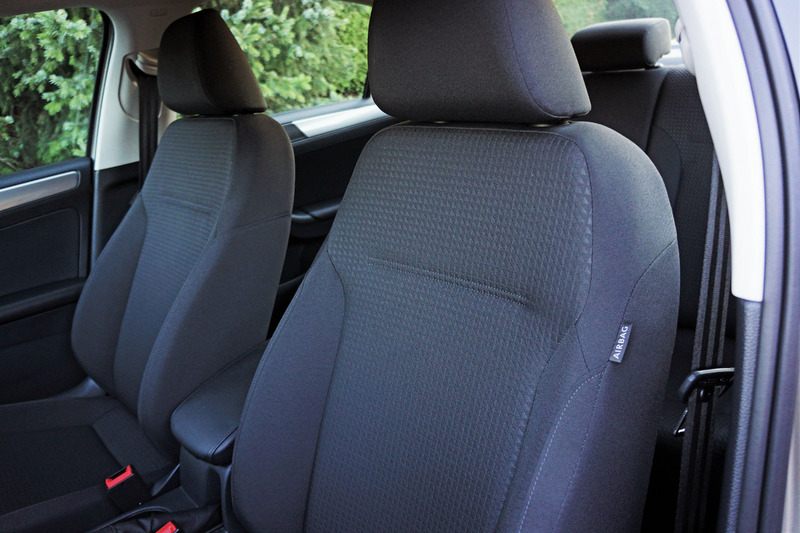 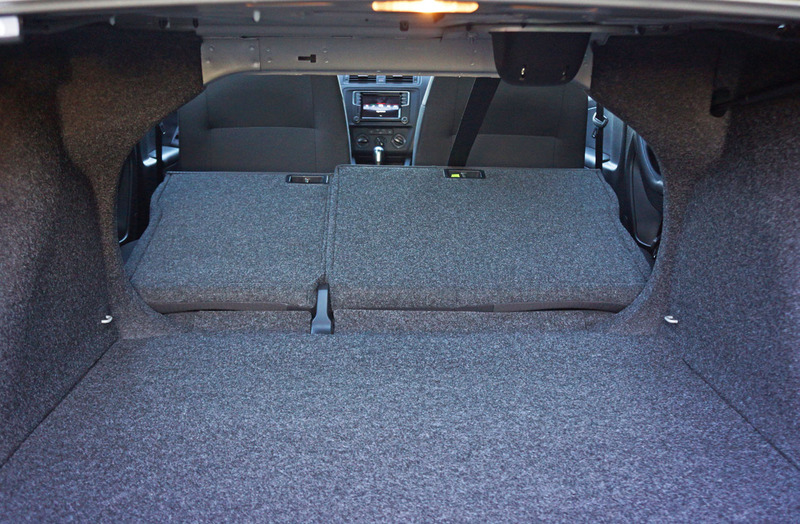 It’s also quiet at speed, and those comfortable front seats are joined by near equal comfort in back. 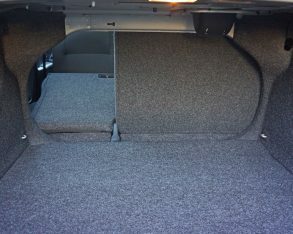 It’s roomy too. 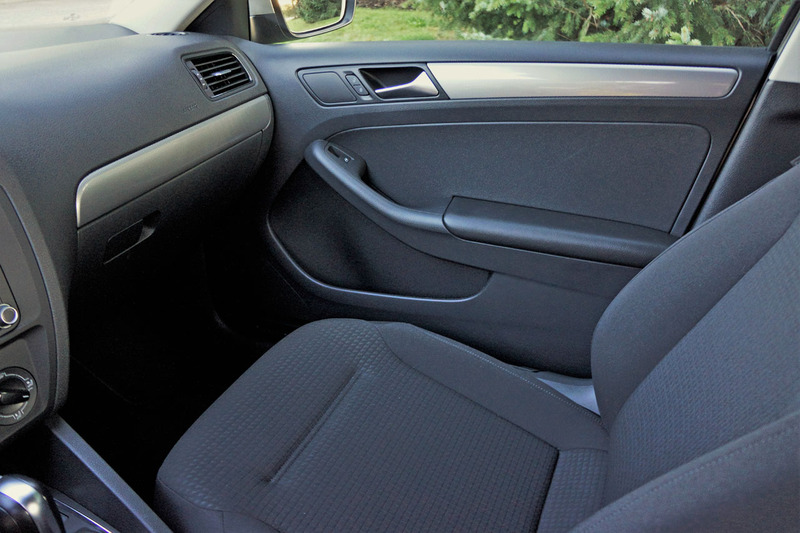 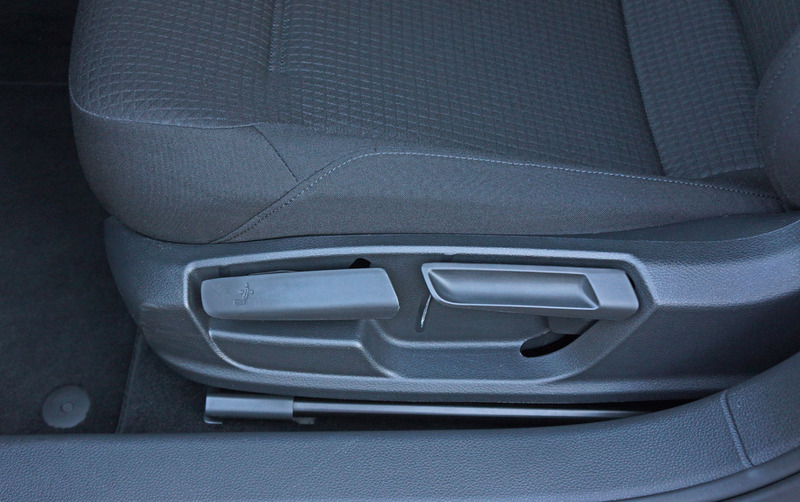 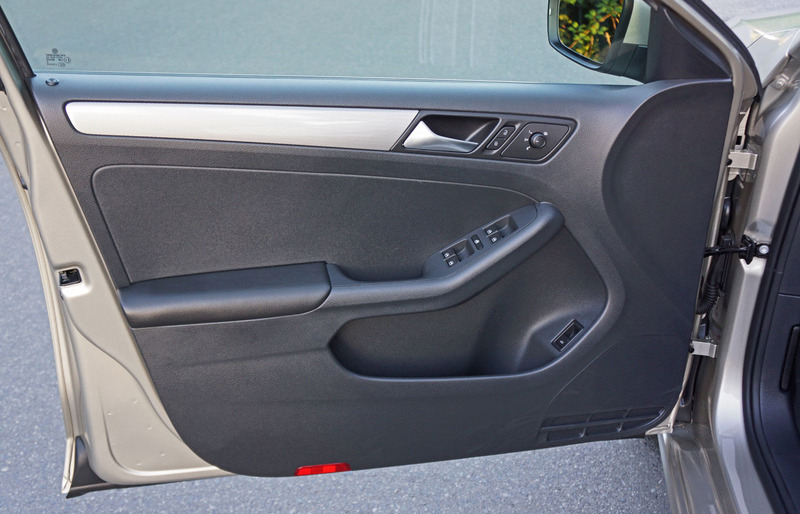 When seated behind the driver’s seat that was previously set for my five-foot-eight medium-build frame I had three to four inches of space above my head and at least that much ahead of my knees, plus ample room around my shoulders and hips. 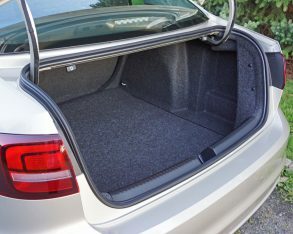 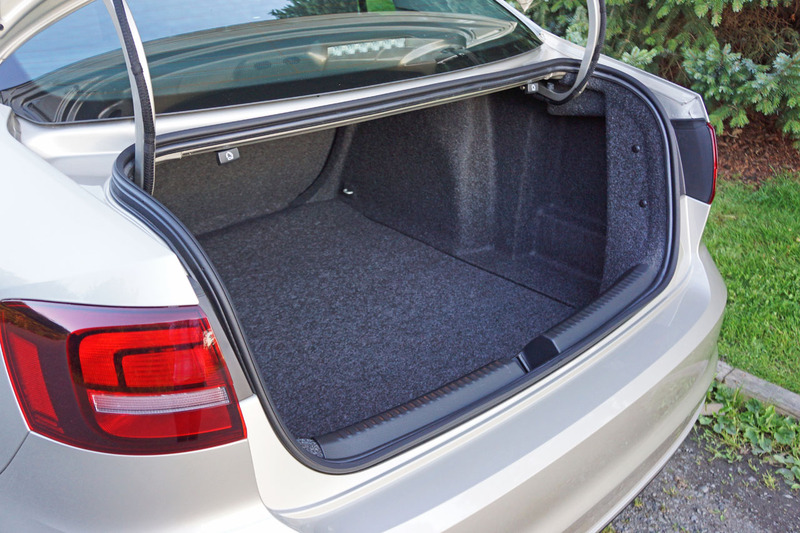 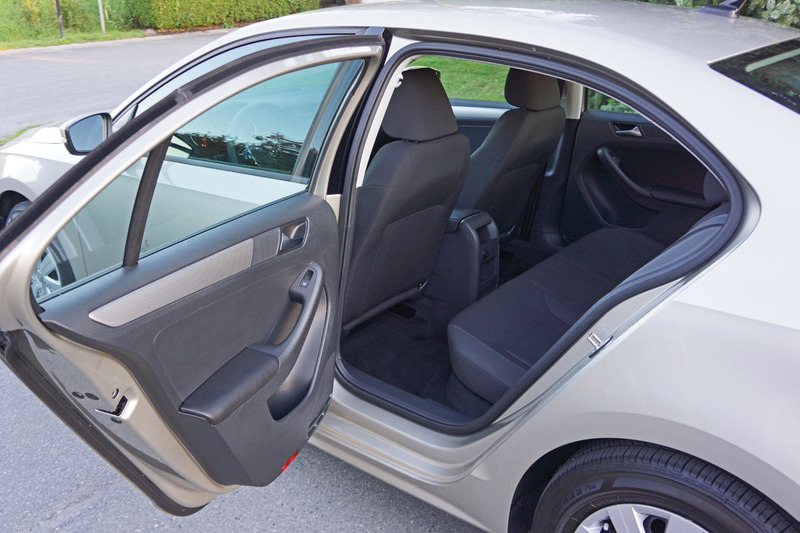 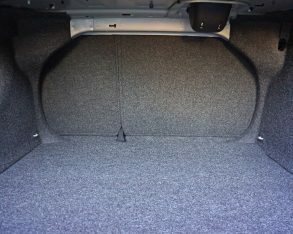 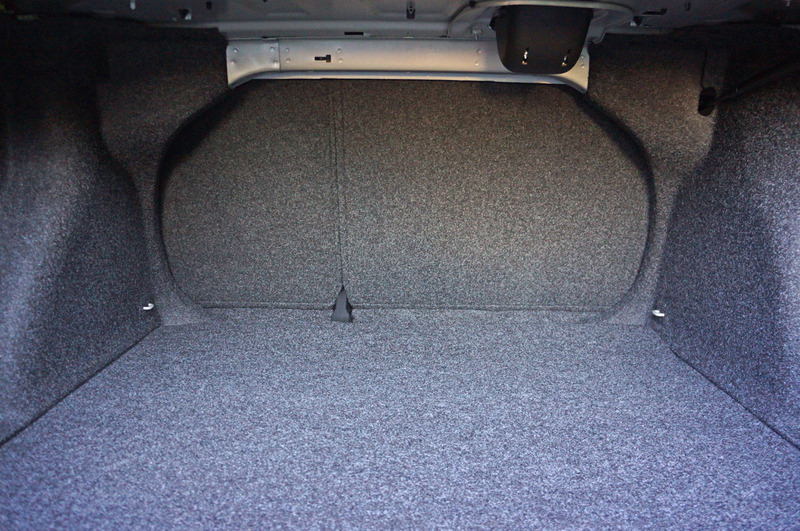 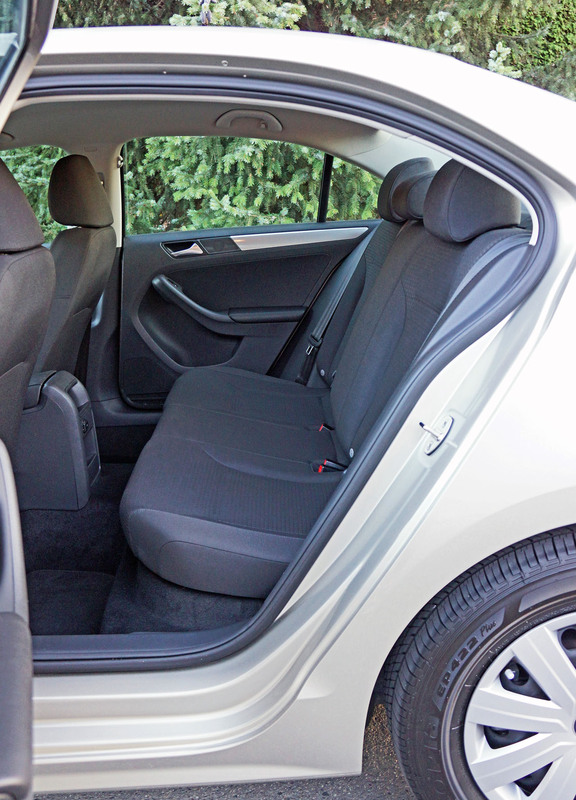 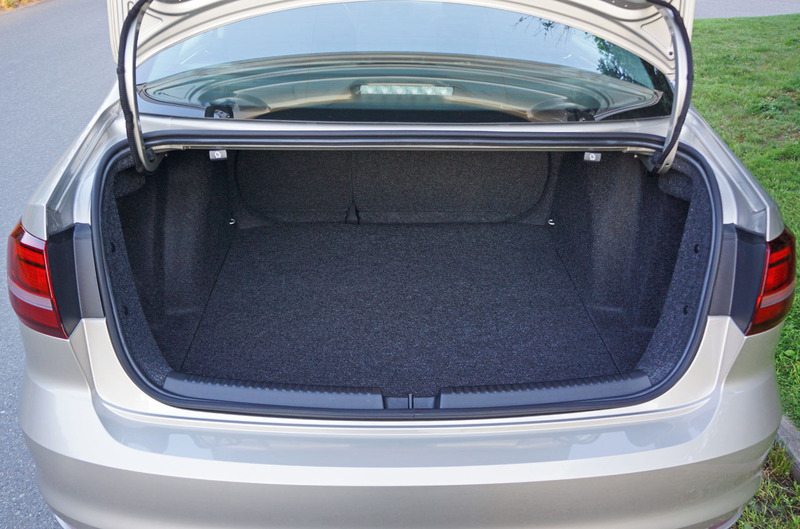 Those rear seatbacks fold 60/40 to allow more cargo space if needed, although few compacts offer anything anywhere near as large as the Jetta’s 438-litre (15.5 cubic-foot) trunk. 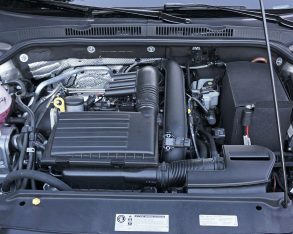 that we’re talking practicalities the Jetta 1.4 TSI is not only a skinflint inside but a cheapskate when it comes to fuel, with the manually shifted version achieving a claimed 8.3 L/100km city, 5.9 highway and 7.2 combined rating, and the automatic good for an estimated 8.5 city, 6.0 highway and 7.3 combined; the latter numbers representing a 22-percent city, 14-percent highway, and 22-percent combined advantage over last year’s automatic-equipped Jetta when fitted with its comparatively ancient SOHC, eight-valve, 115 horsepower 2.0-litre four. 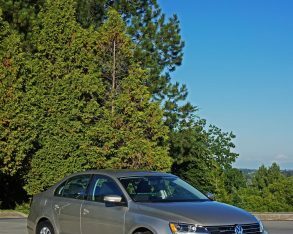 transmission, while the Jetta Turbo Hybrid gets discontinued for 2017. 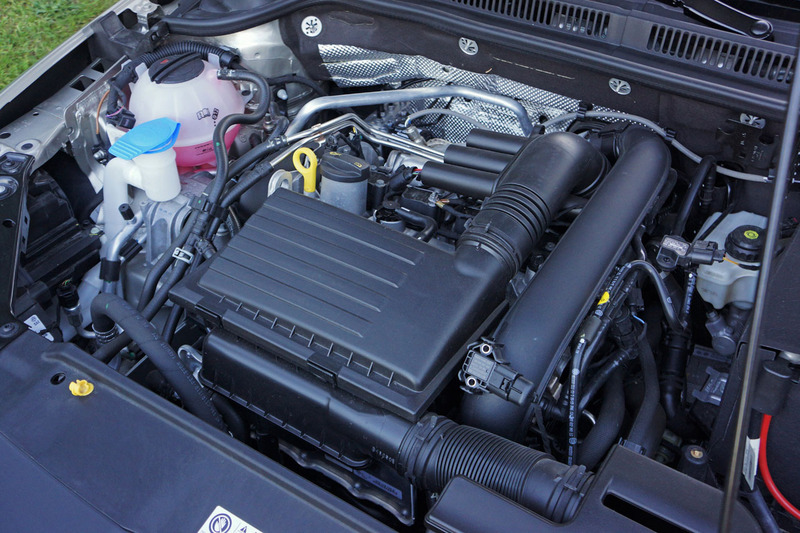 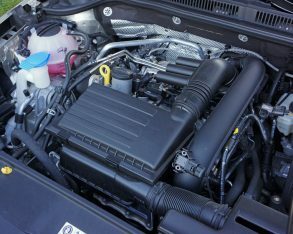 As for the diesels, we should all be aware of why they’re no longer offered by now. 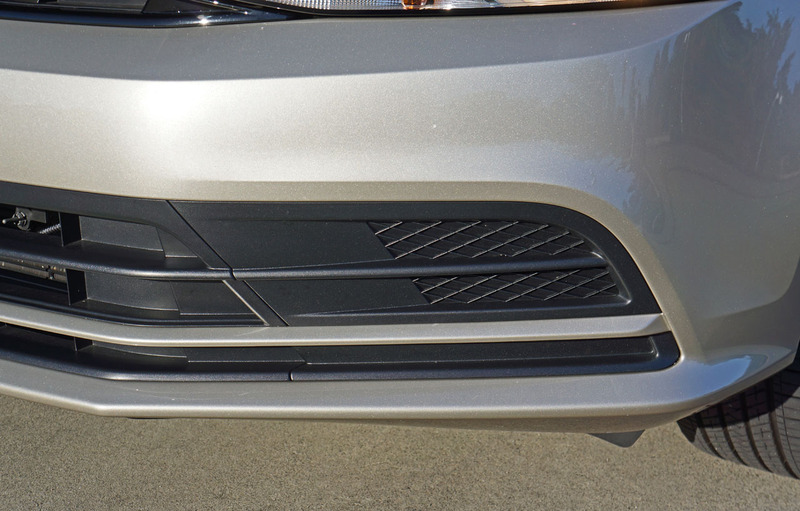 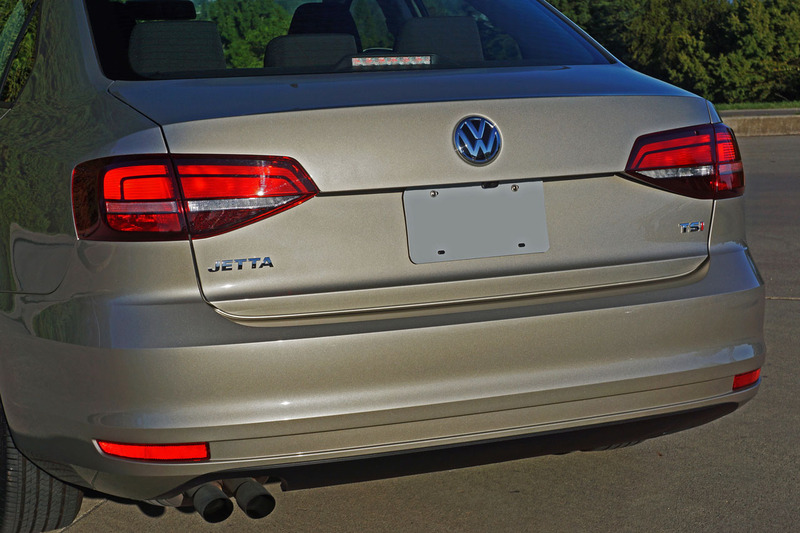 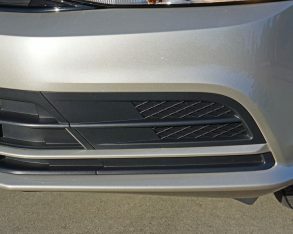 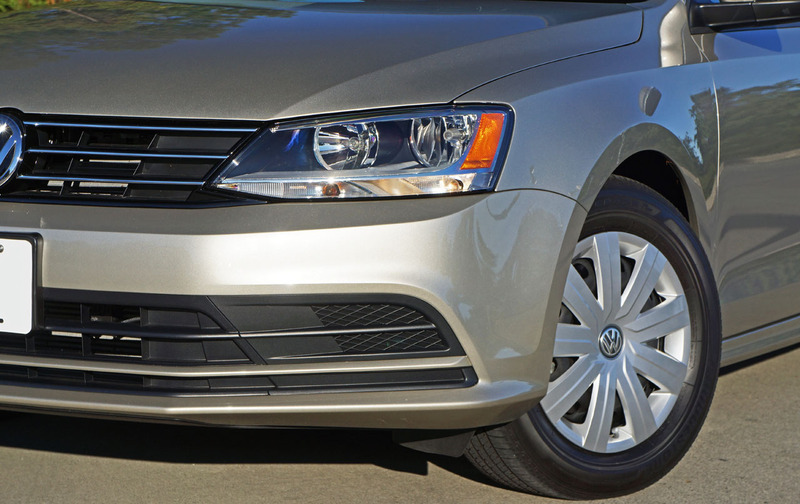 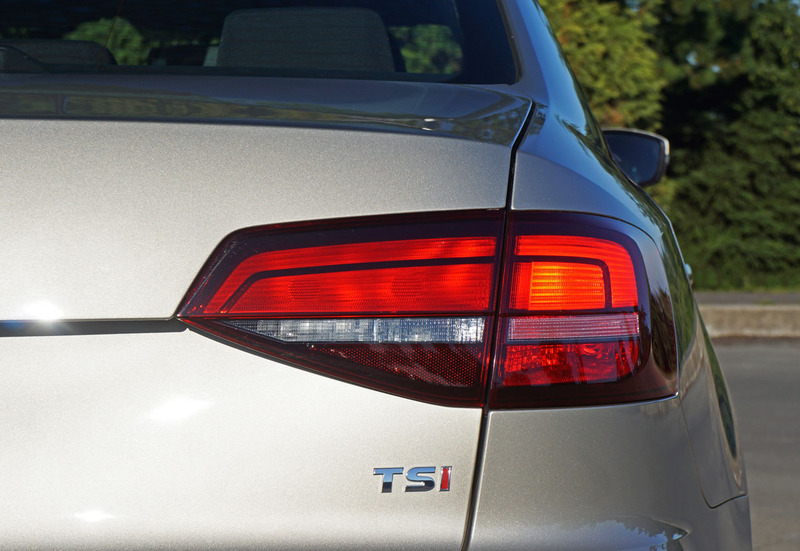 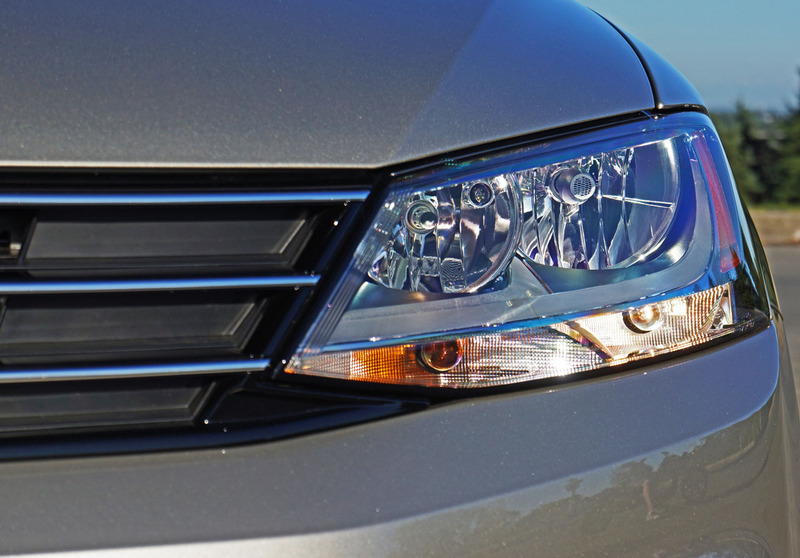 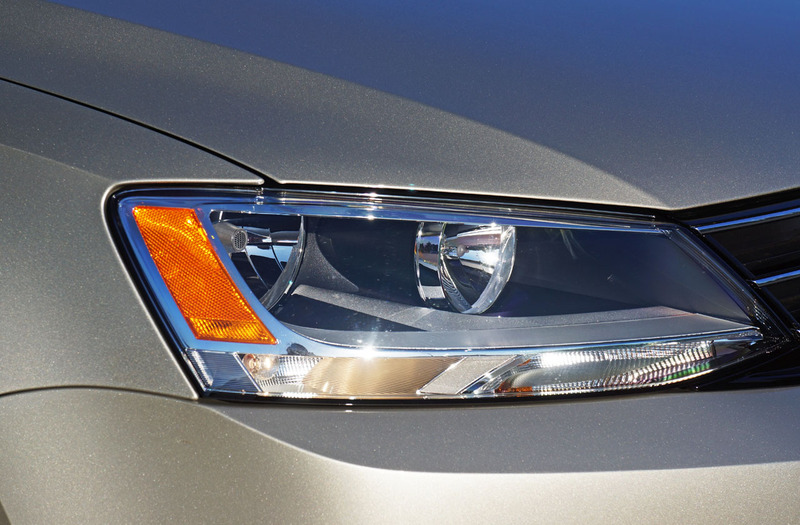 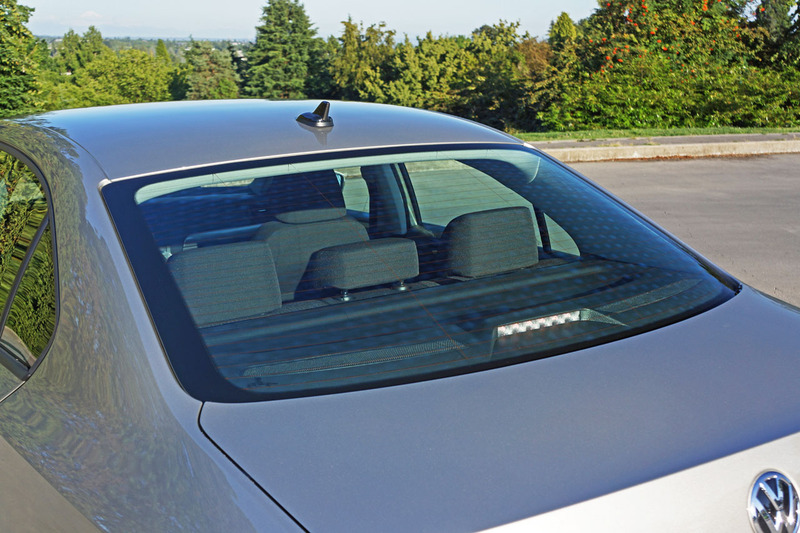 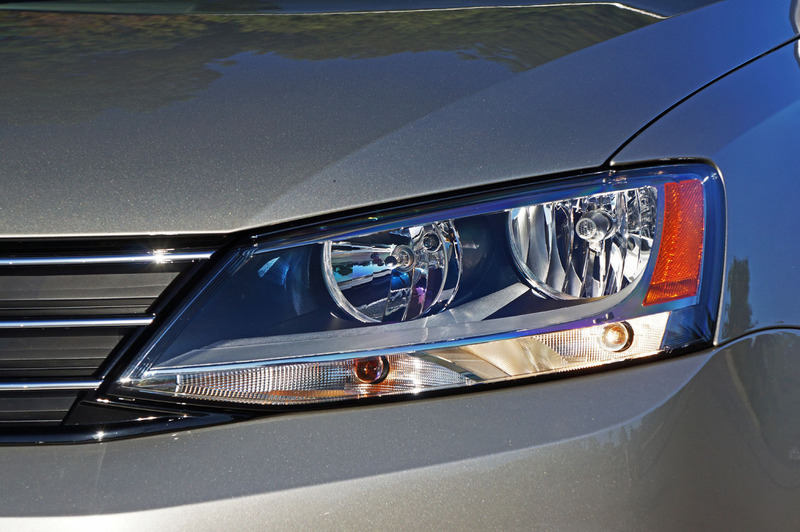 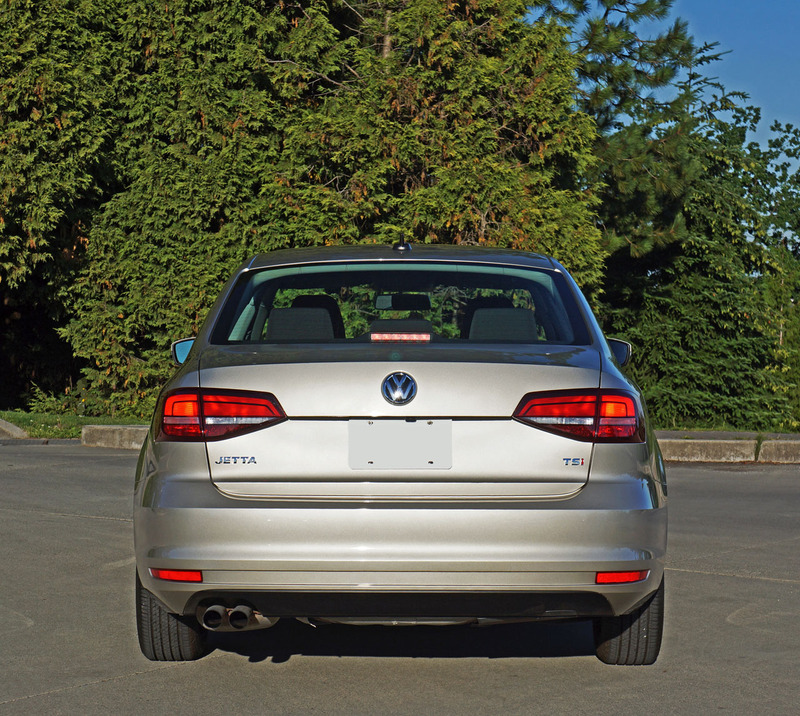 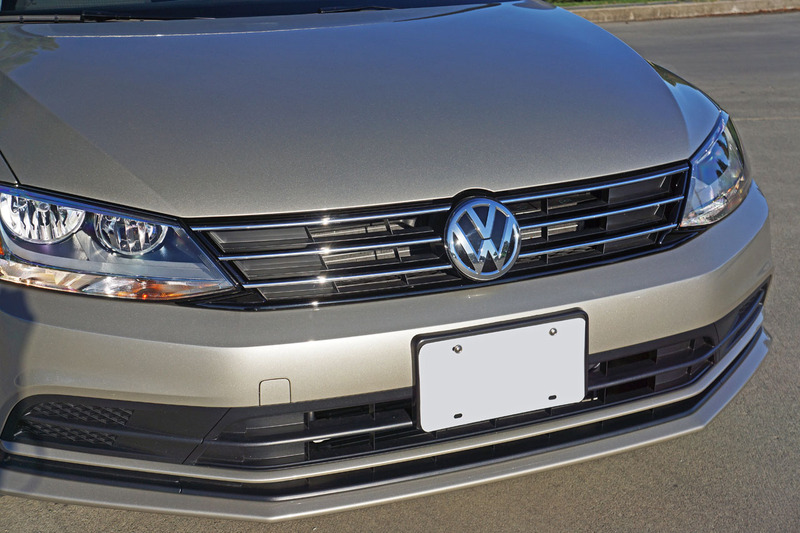 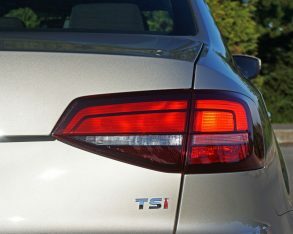 Speaking of changes, except for that Hybrid the 2016 Jetta lineup received smoked taillight lenses across the line, while any other modifications were relegated to higher trims than this Trendline Plus. 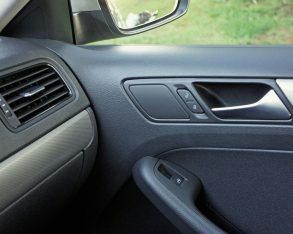 USB port, the heatable front seats, and those nice glossy inlays, plus remote access, heatable powered side mirrors with integrated turn signals, air conditioning, a front centre armrest, and an alarm, or rather most things other brands include in their base models for an extra $3,000 on top of the entry Trendline’s $15,995 staring price (excluding freight and dealer fees). 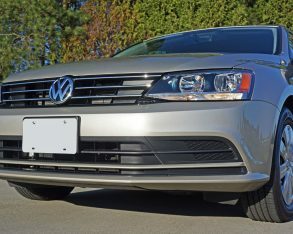 My $18,995 Trendline Plus tester also came with a $1,400 automatic, a $450 Connectivity package that added VW’s larger Composition Media infotainment system with App-Connect smartphone integration featuring Apple CarPlay and the like, plus satellite radio and voice control, while its Moonrock Silver Metallic paint was a no-cost option. 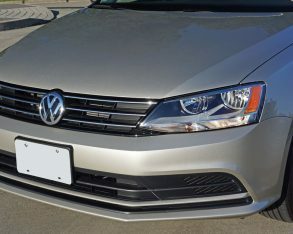 Additional no-cost colours include Reflex Silver Metallic, Platinum Grey Metallic, Silk Blue Metallic, Deep Black Pearl, Tornado Red, and Pure White. 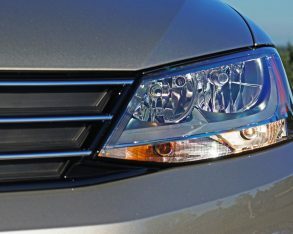 A block heater can also be added at $350, which is easy to spot because it comes packaged with a set of front fog lamps. 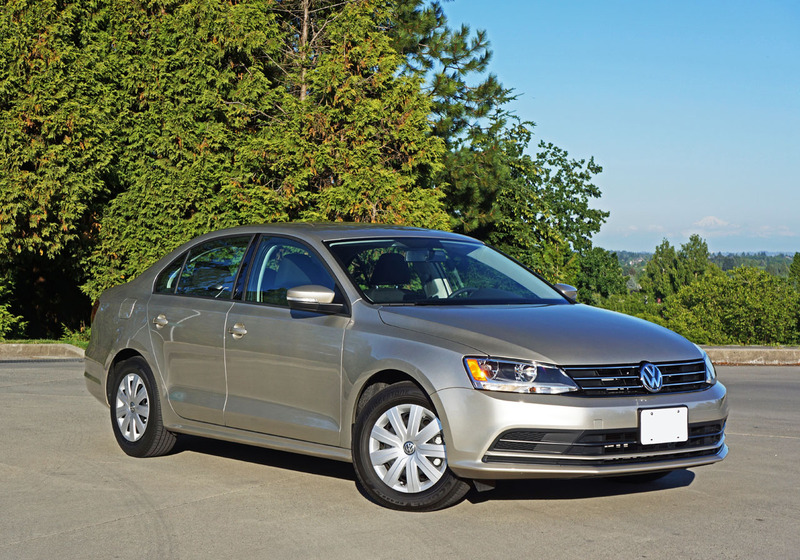 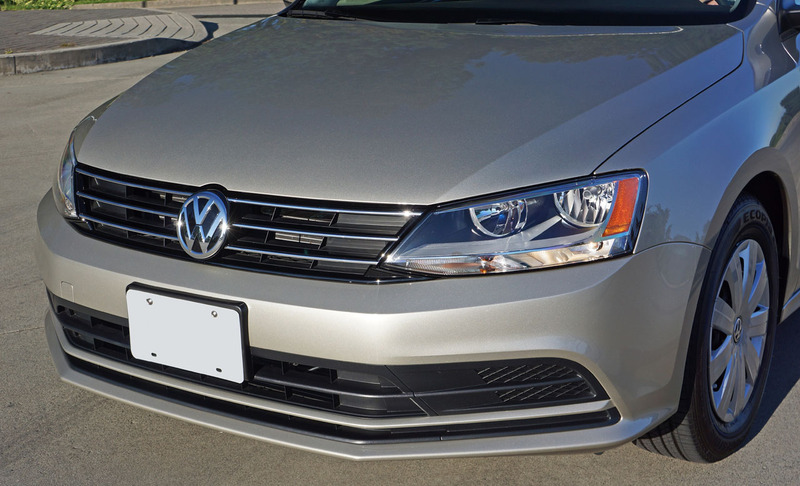 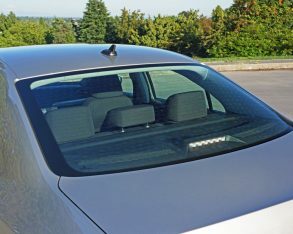 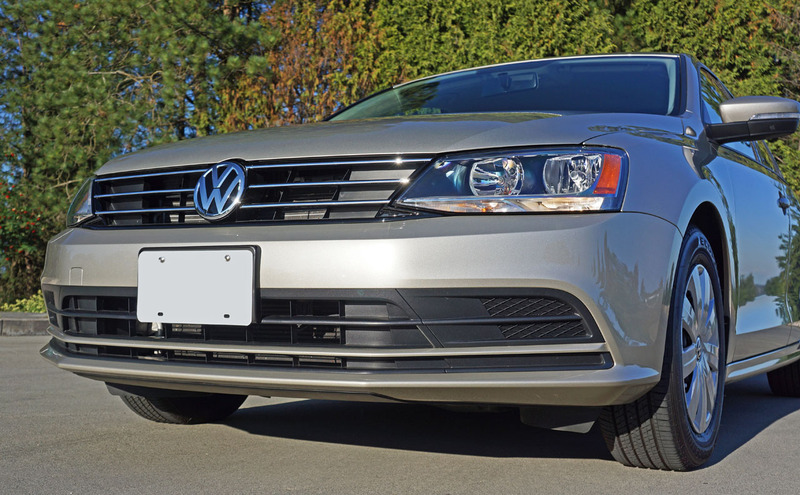 equipped the 2016 Jetta Trendline Plus is pricier than most competitors that include even more features standard, plus as noted (ad nauseam) nicer interiors. 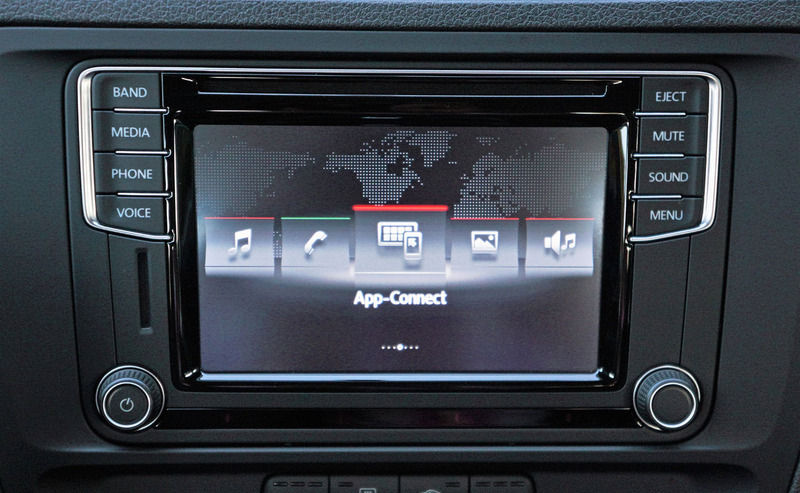 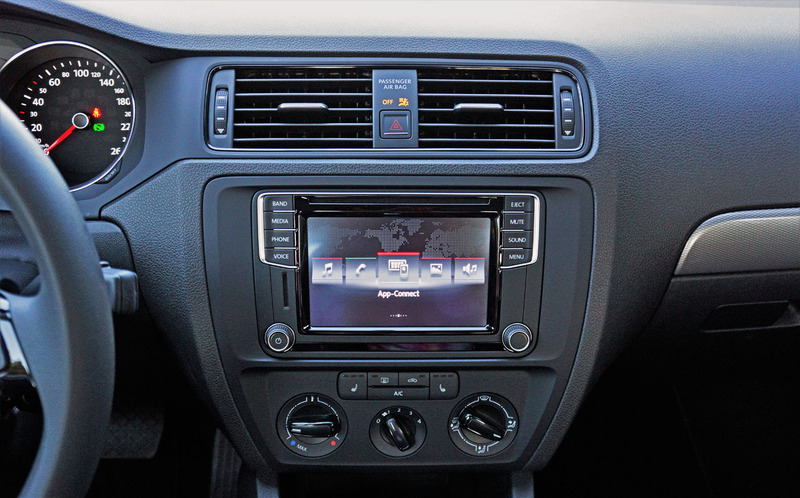 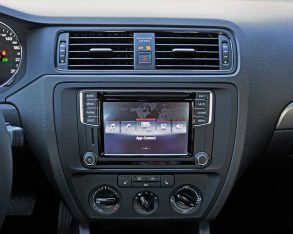 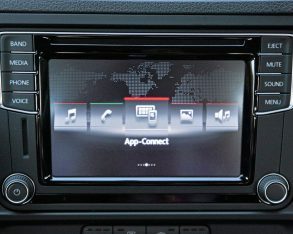 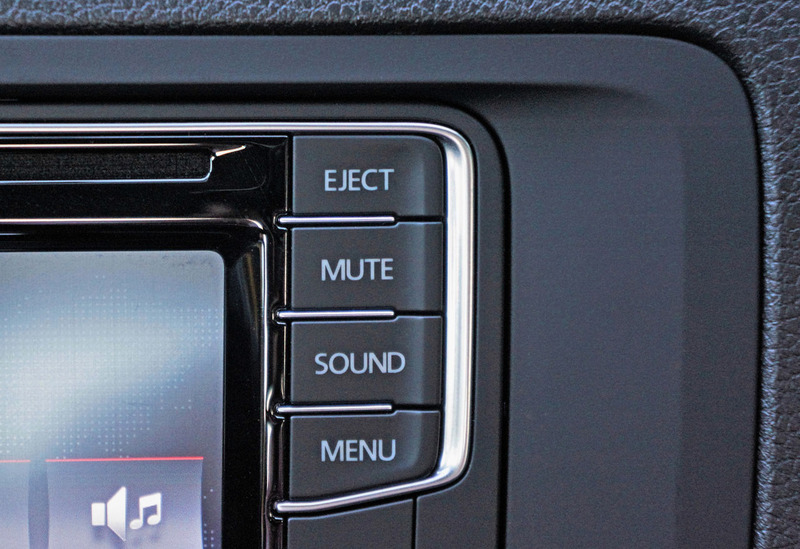 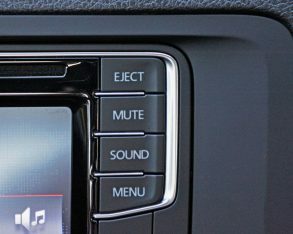 Still, the Jetta’s upgraded infotainment is superb, its 1.4 TSI engine a jewel, and overall driving dynamics near best in class, while many will like its conservative yet premium-like lines more than the avant garde outward shape of its fiercest Japanese rival. 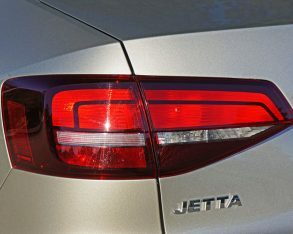 All said, this sixth-generation Jetta will soon move into the 2017 model year mostly unchanged, which means it’ll be seven long years without a redesign before its replacement arrives sometime next year (fingers crossed), and it shows. 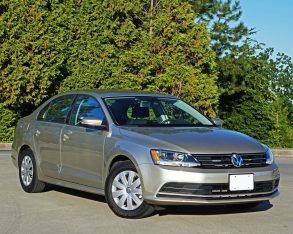 No doubt sales will continue to slide while the Jetta’s many ardent fans, who like me will have already searched out the much more enticing 2018 seventh-gen design, wait patiently for the new model. 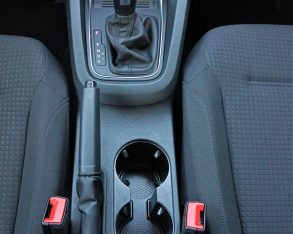 I don’t know about you, but I’m looking forward to singing its praises again. 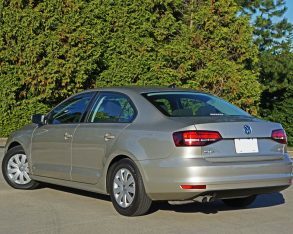 I hate being a grumpy curmudgeon, especially about a car that I once raved about so enthusiastically that readers questioned whether VW was paying me off on the side. 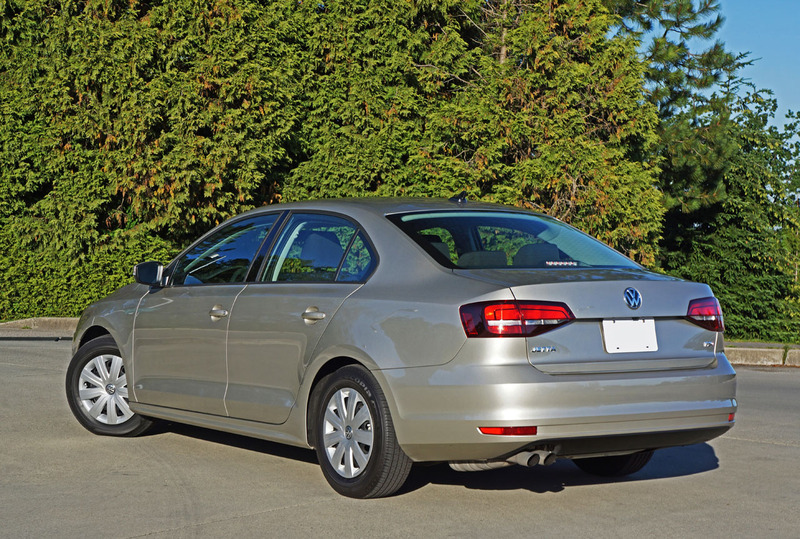 Seriously though, it’s high time VW replaced a car that wasn’t its best from onset. 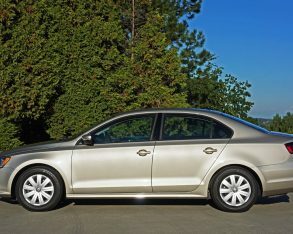 In the meantime you should demand a healthy discount on this one as doesn’t deserve full price. 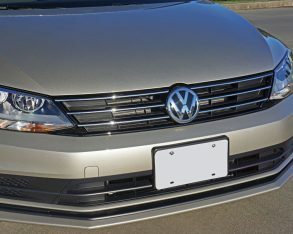 I’m sure your local VW dealer will be more than happy to oblige.